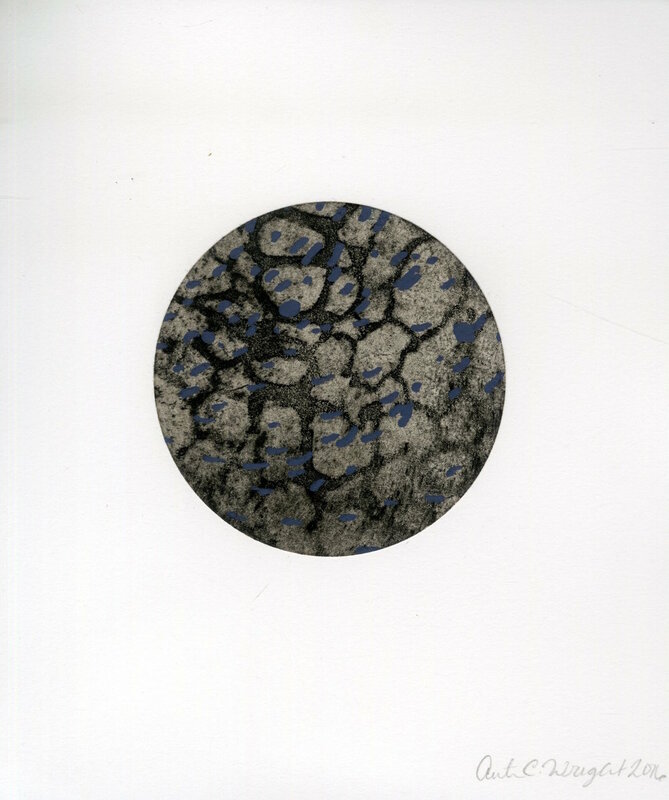 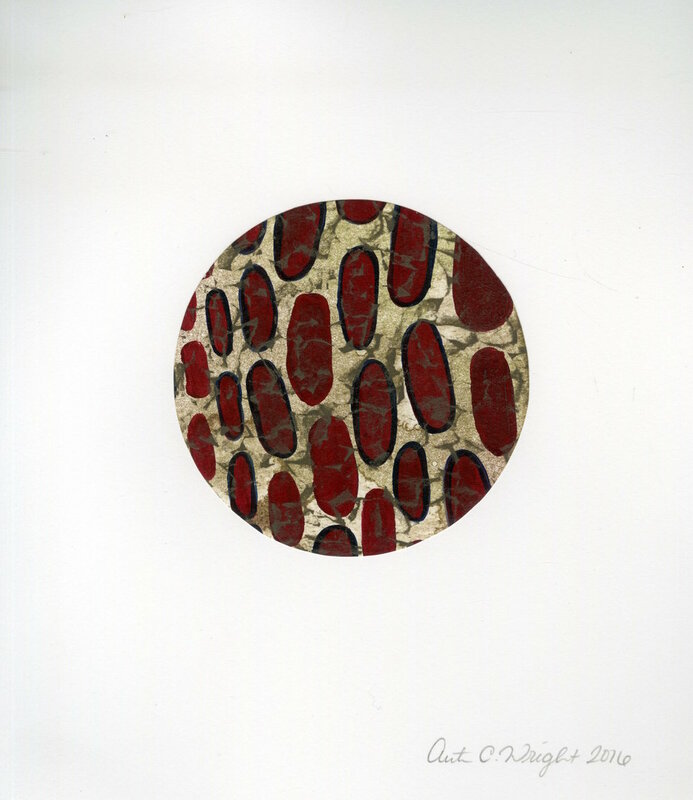 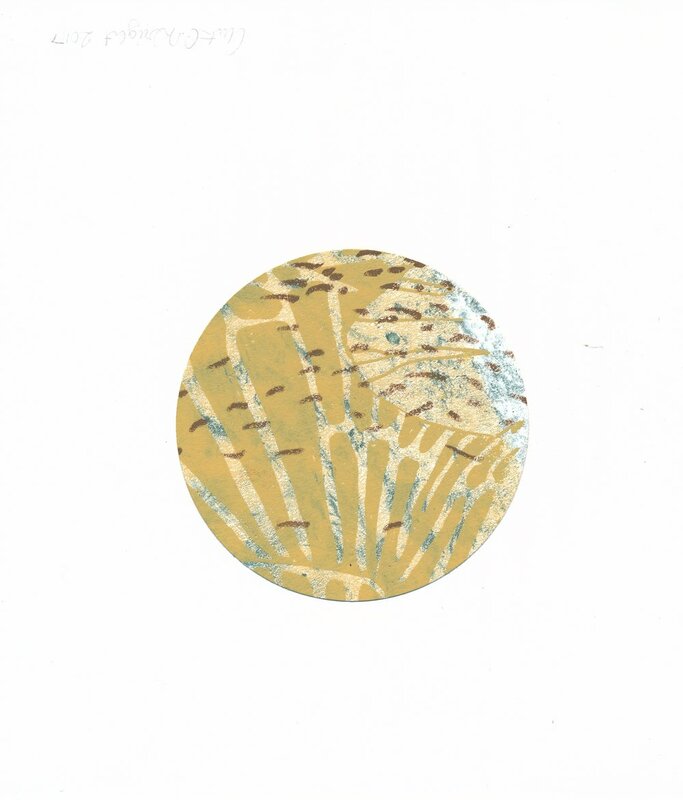 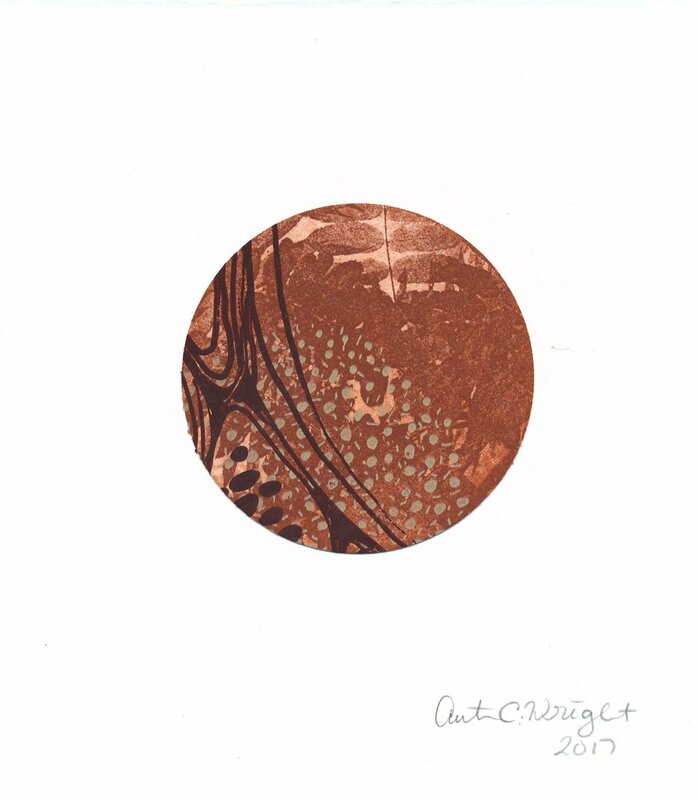 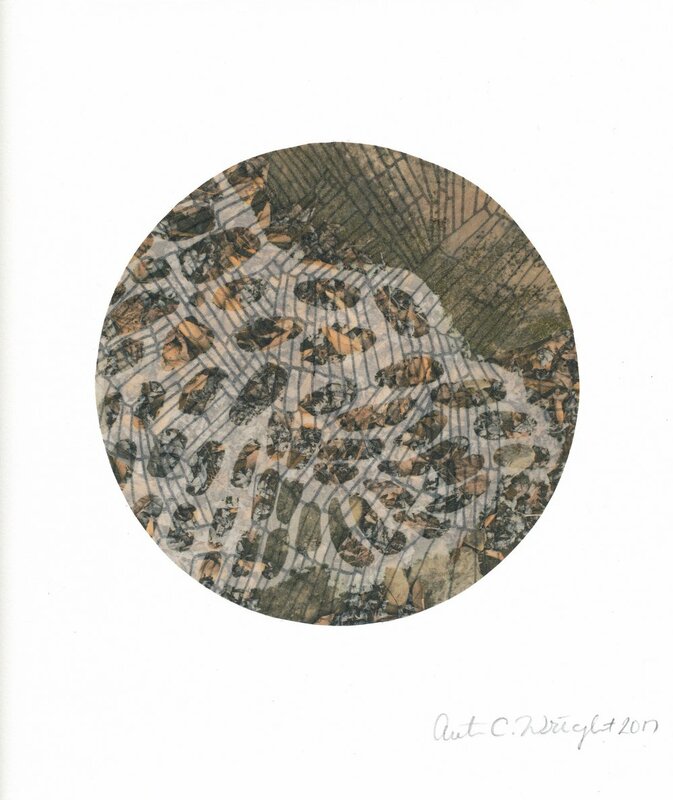 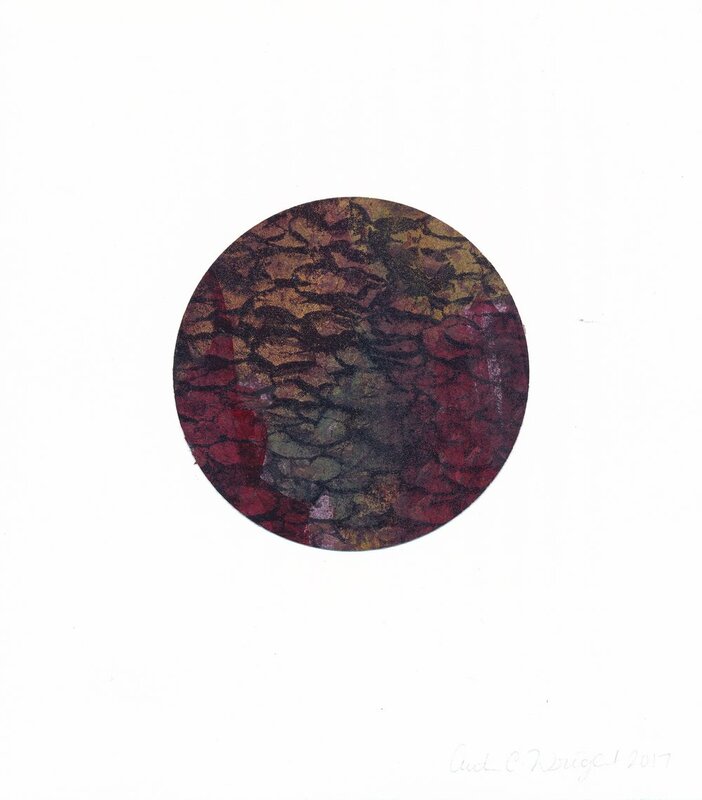 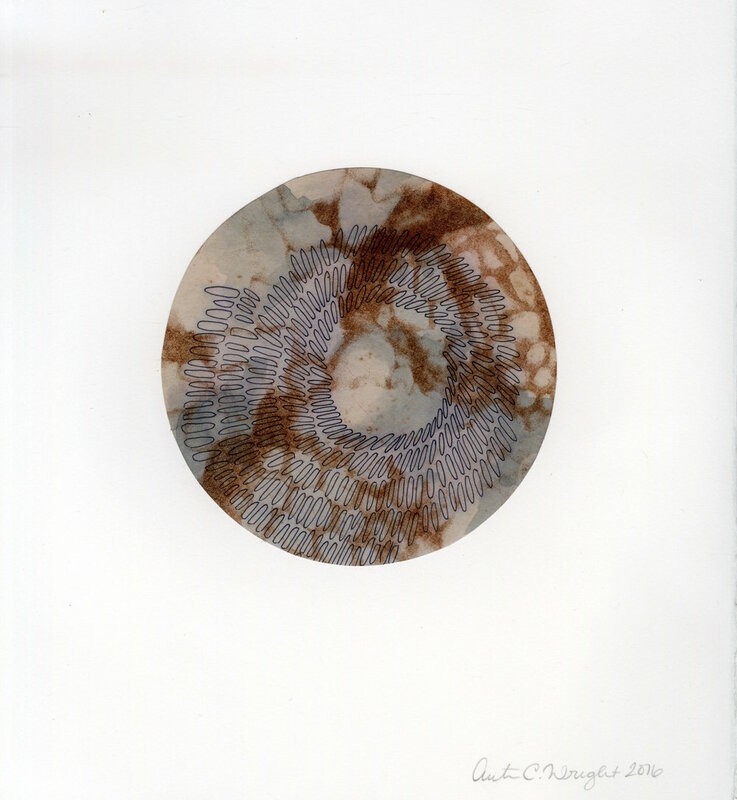 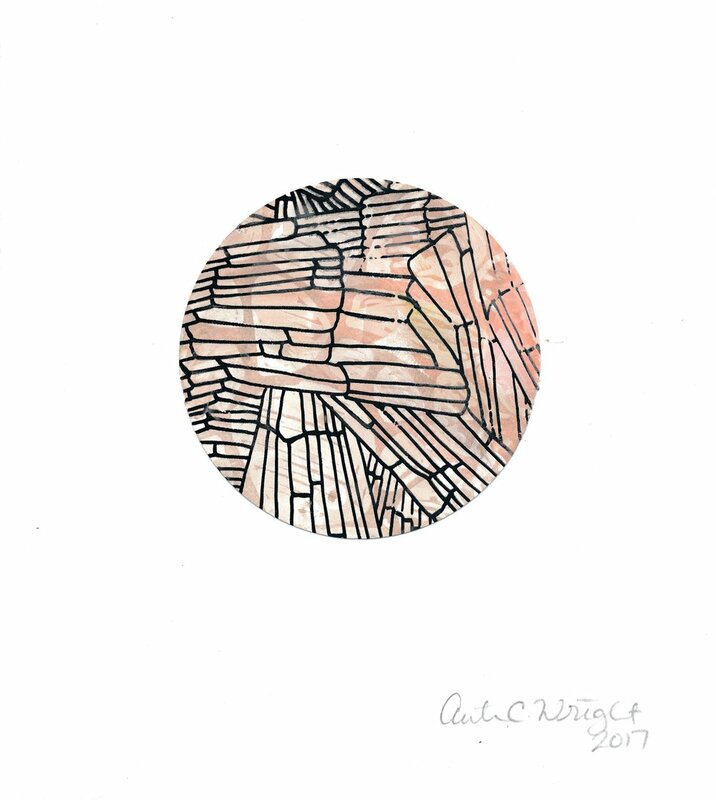 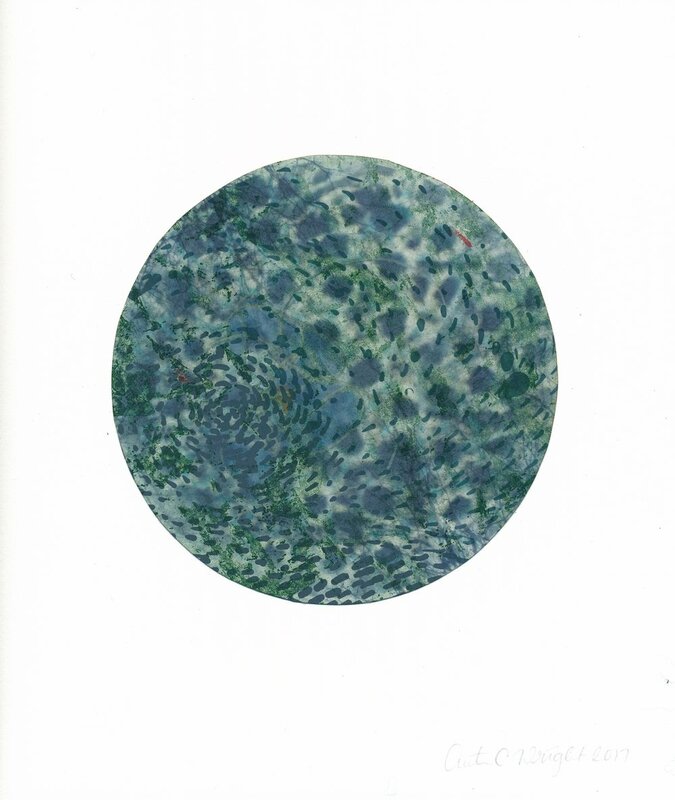 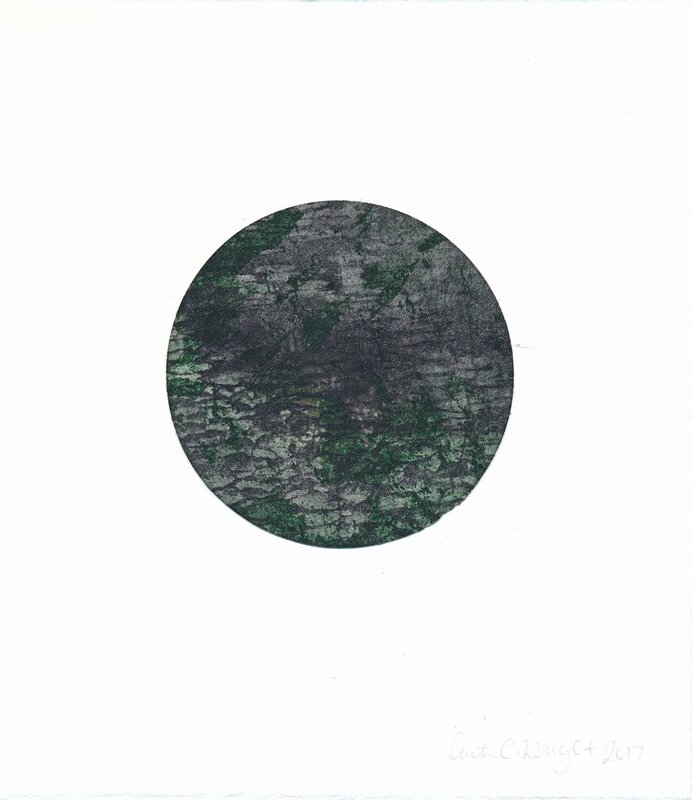 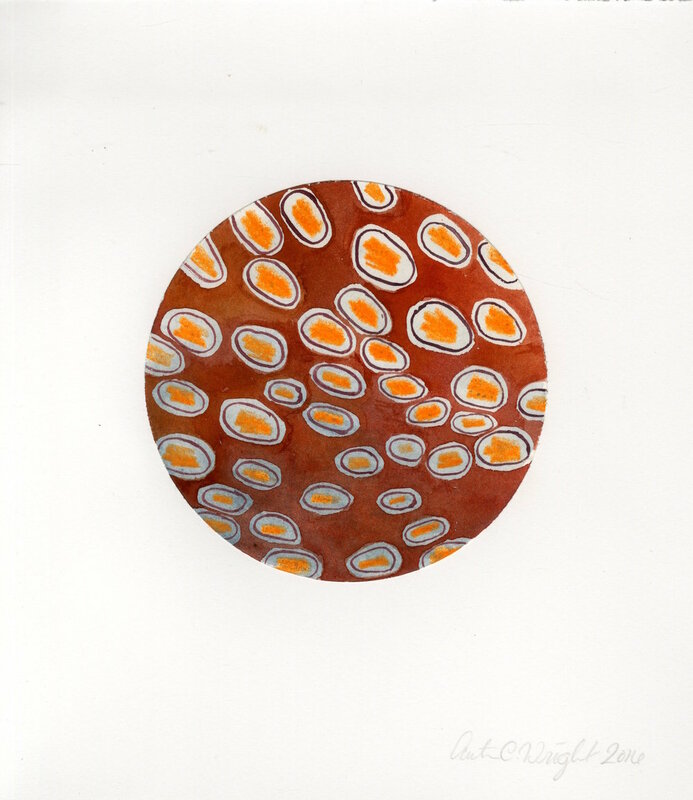 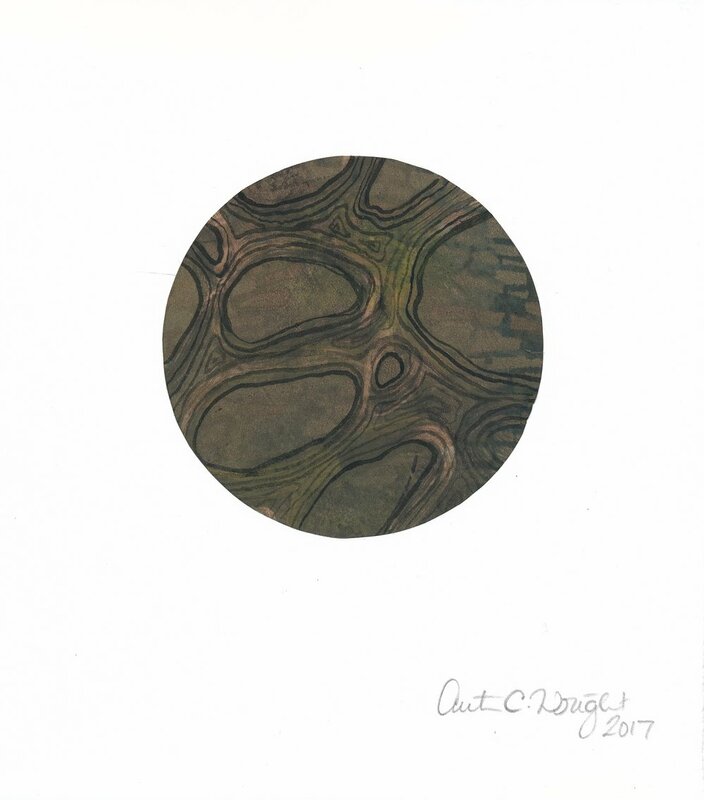 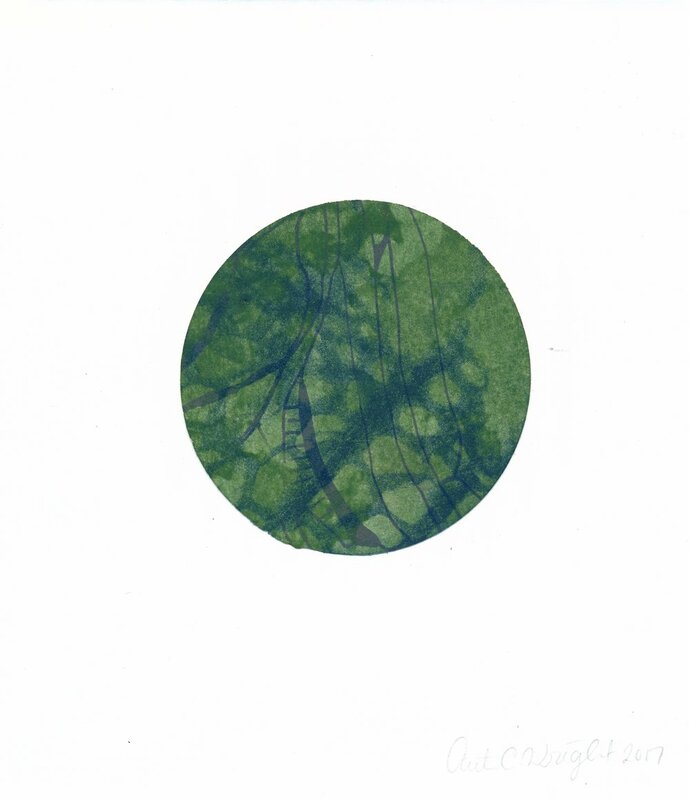 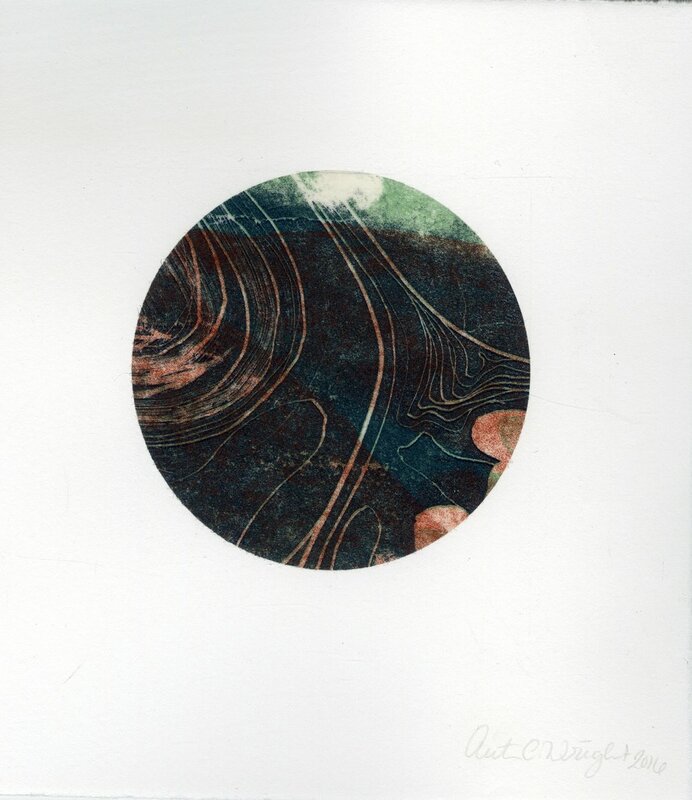 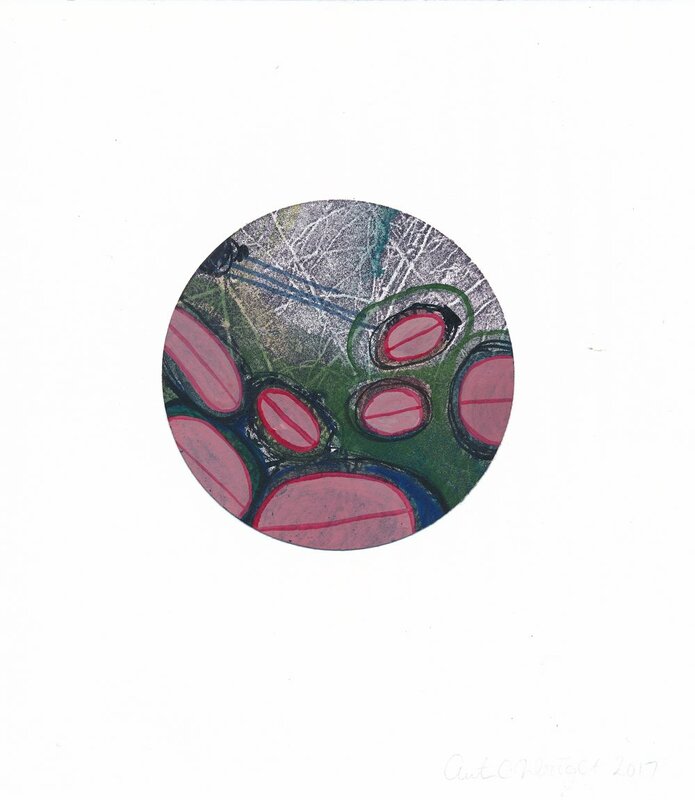 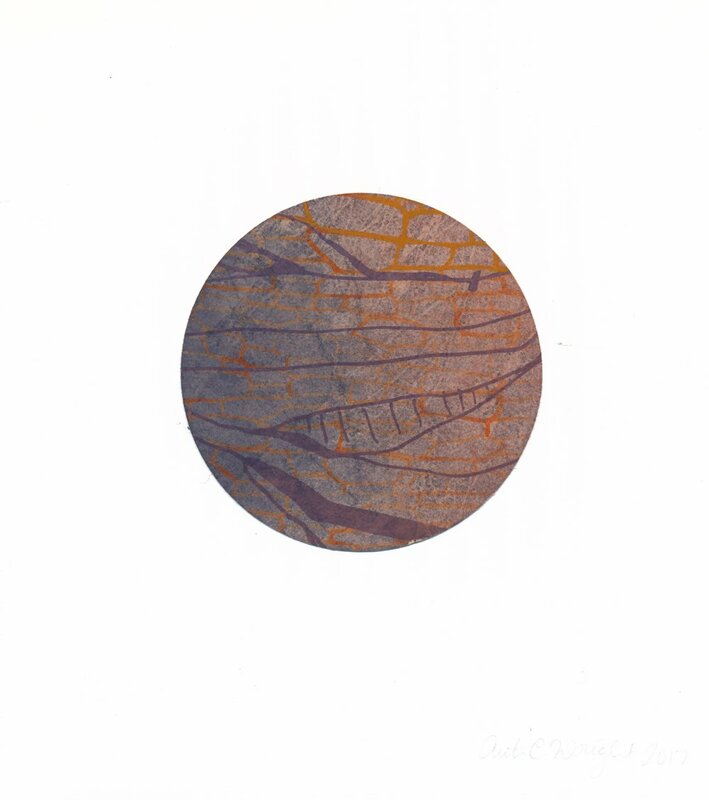 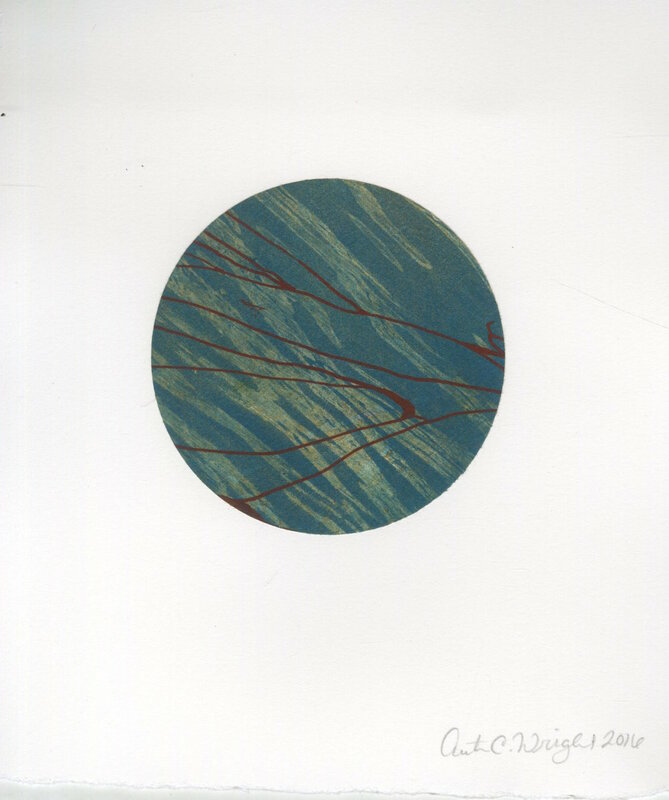 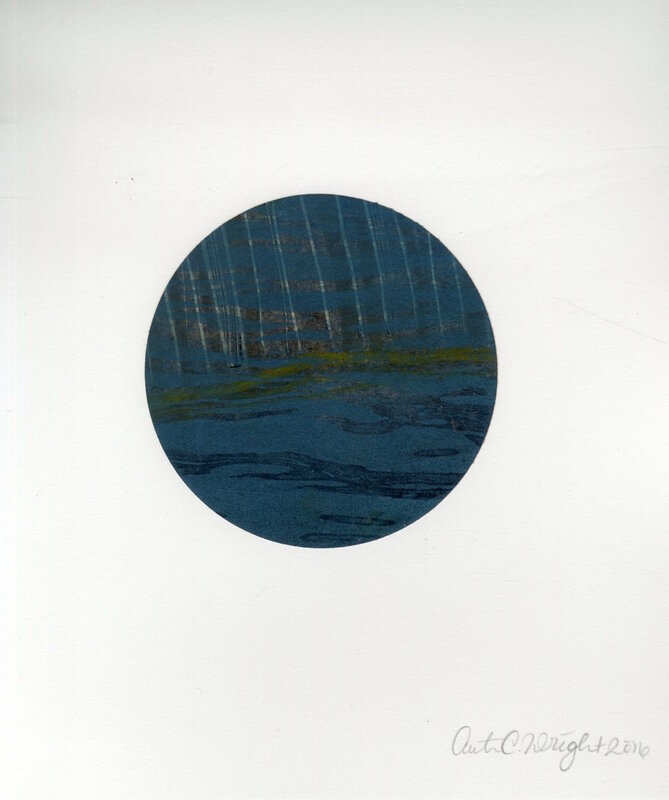 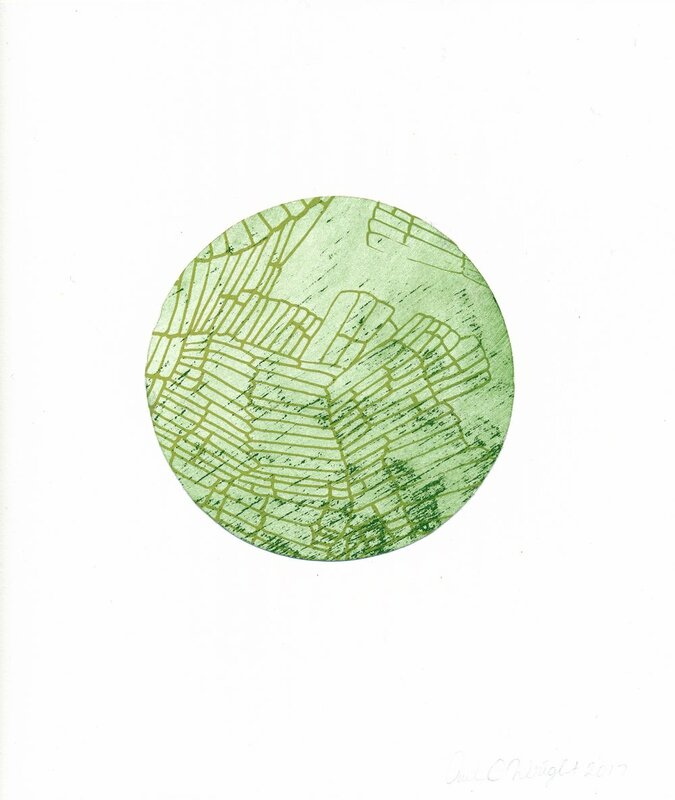 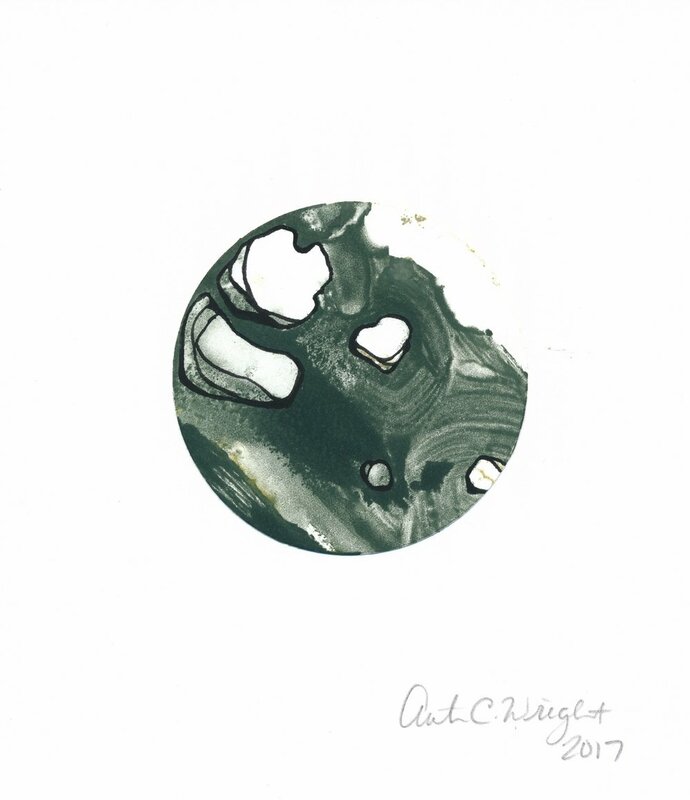 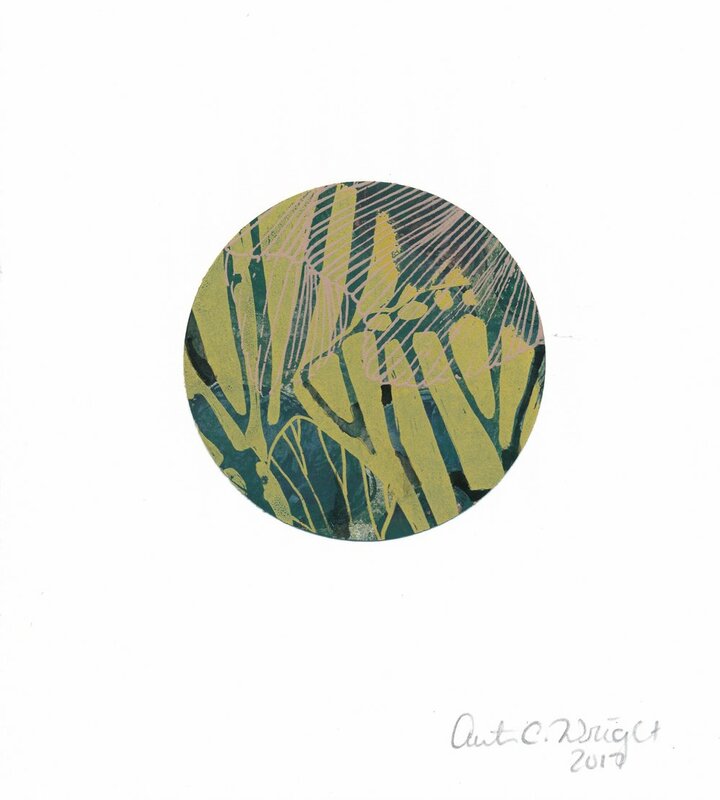 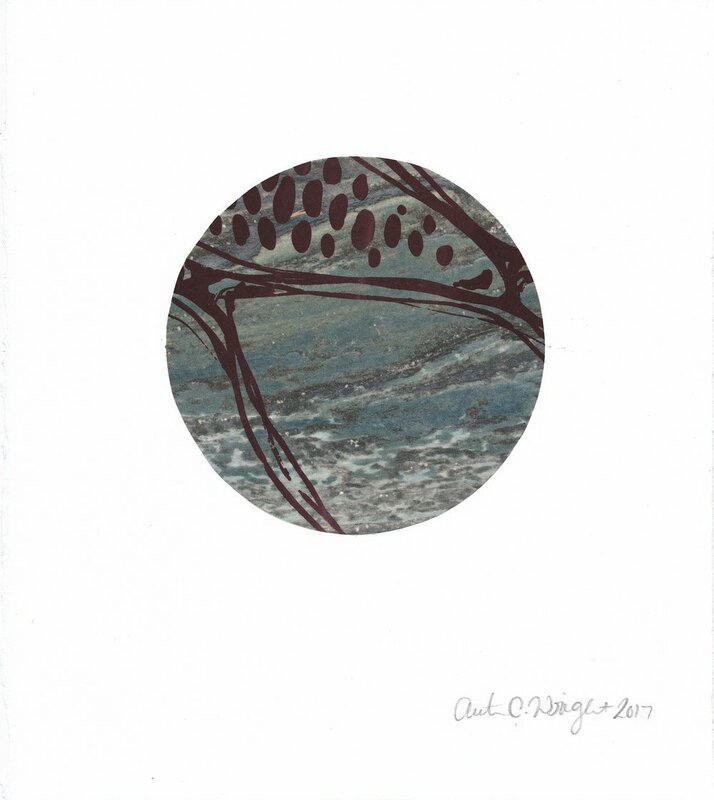 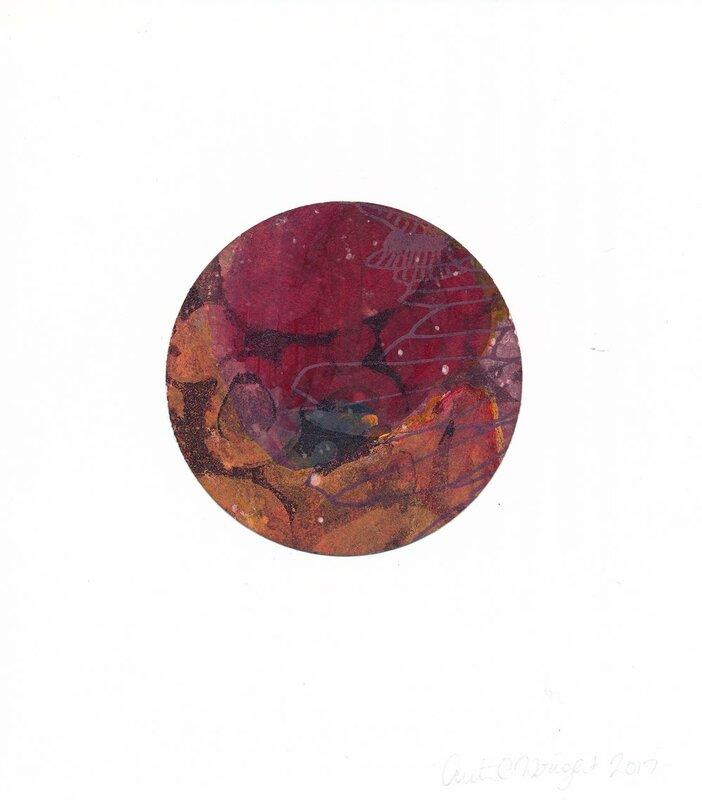 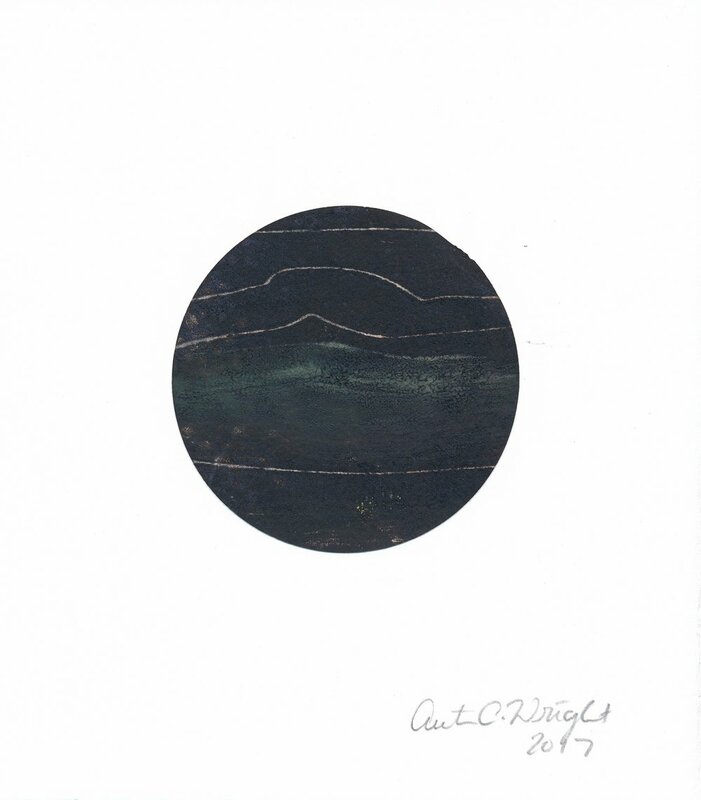 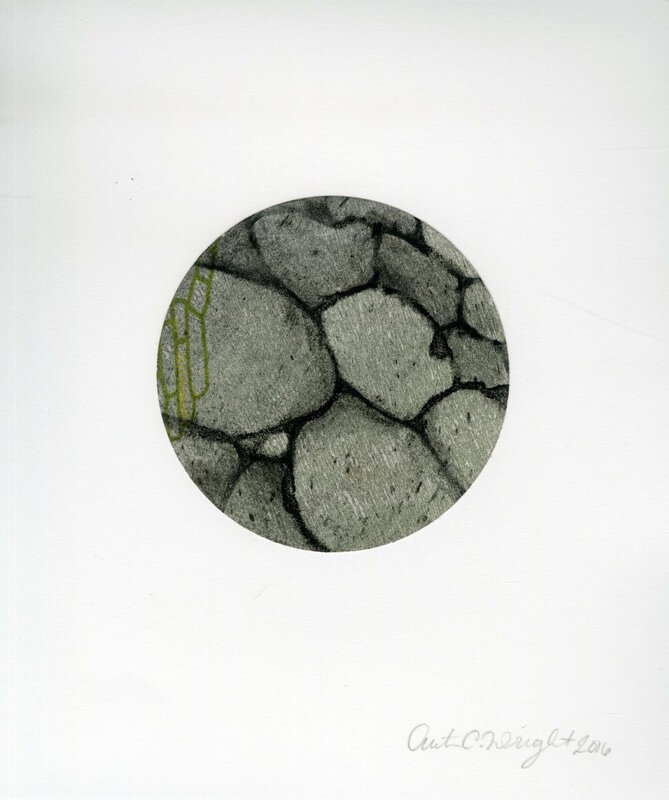 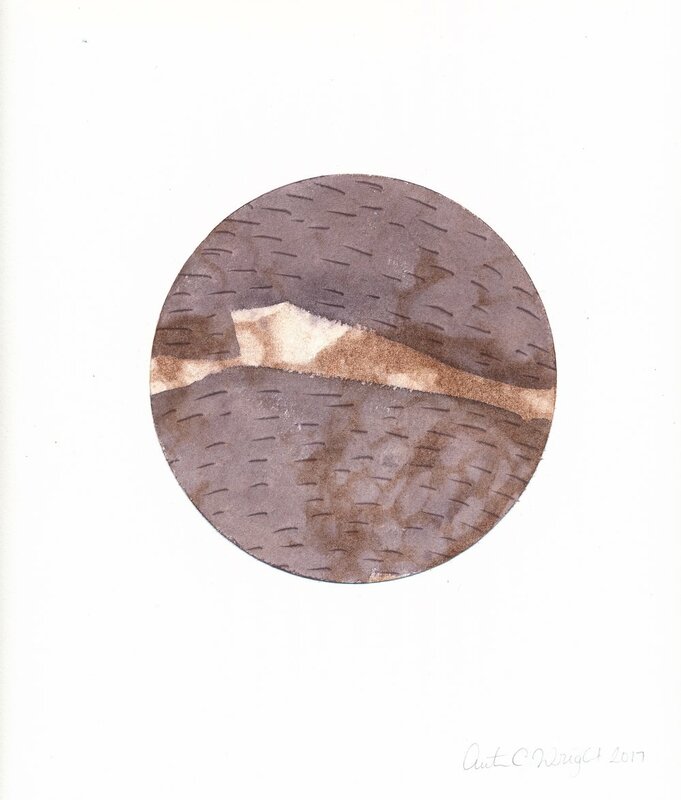 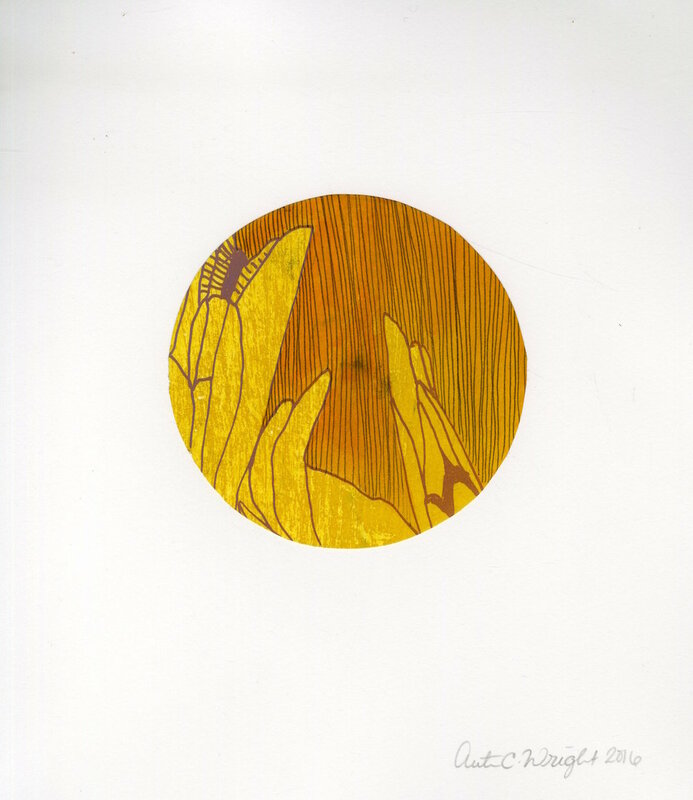 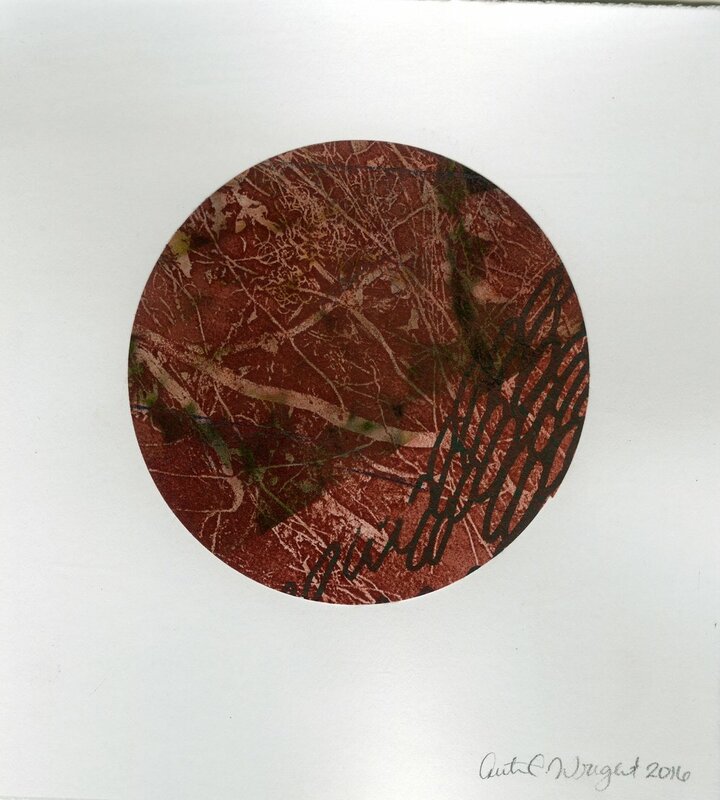 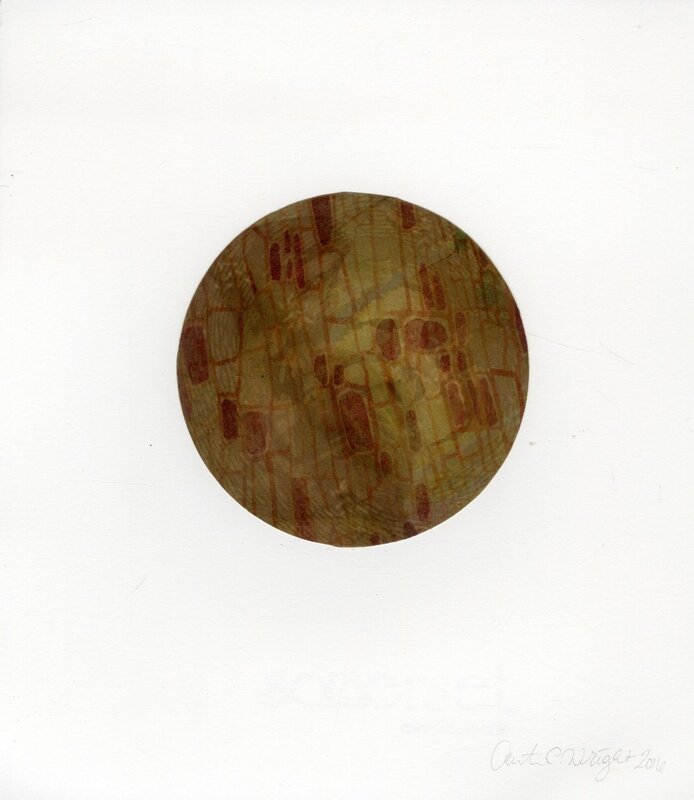 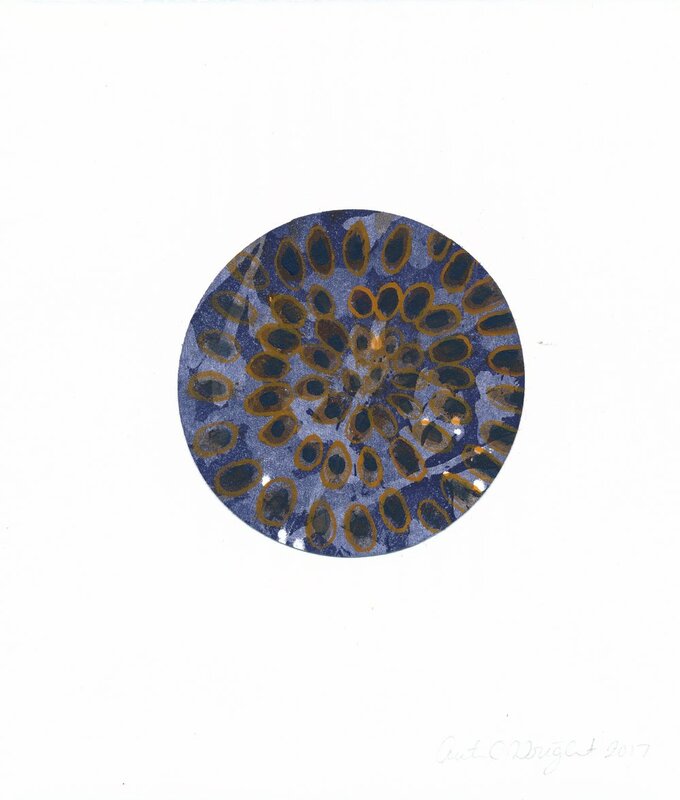 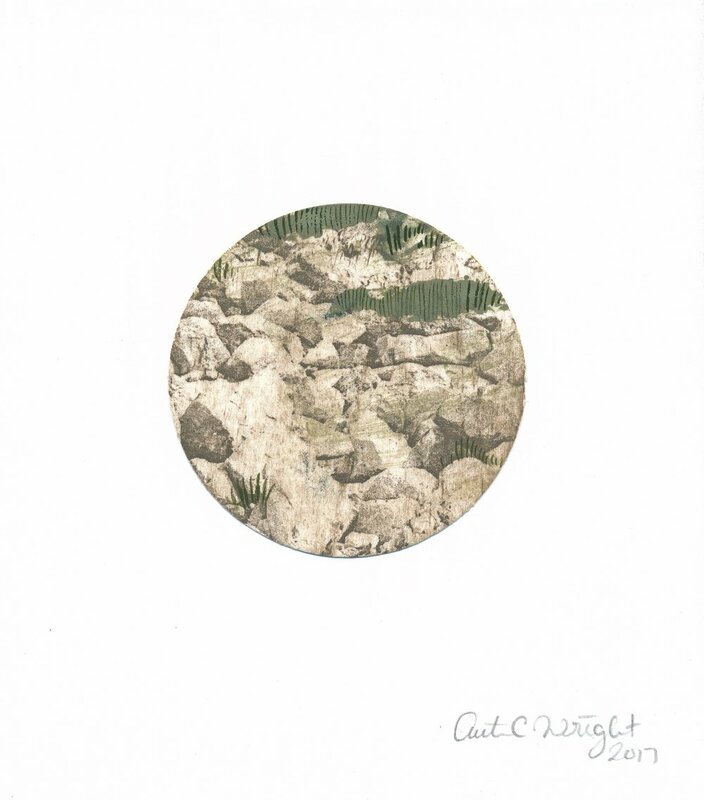 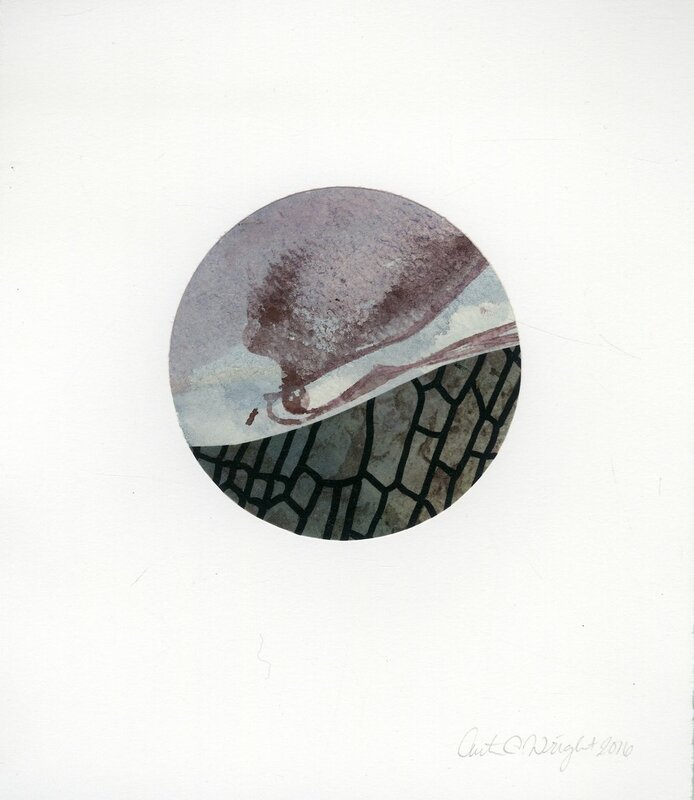 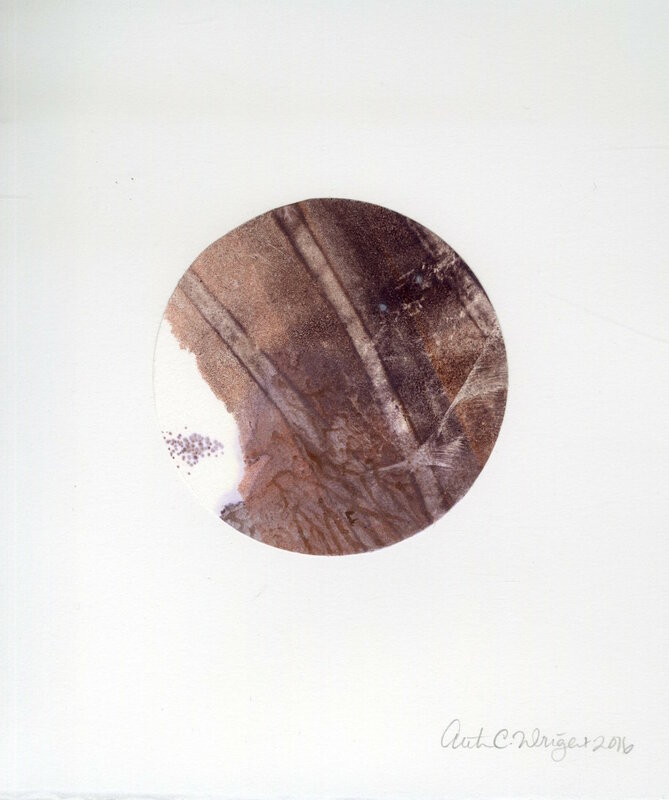 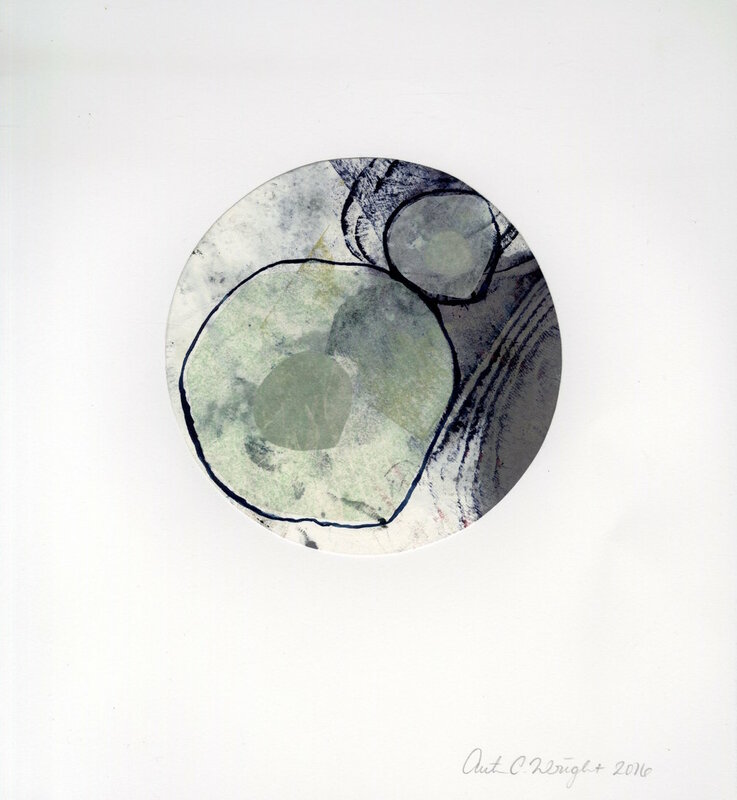 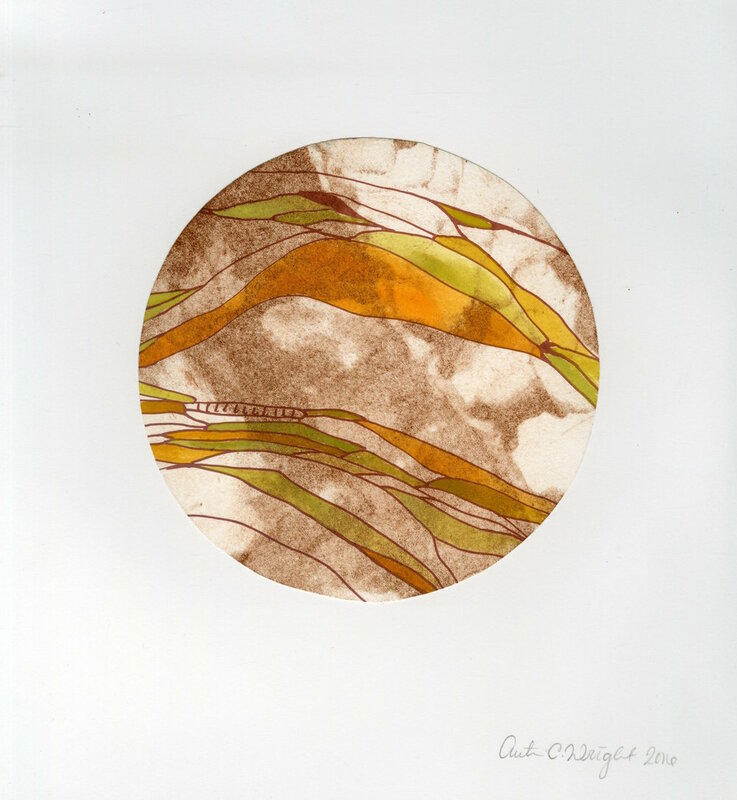 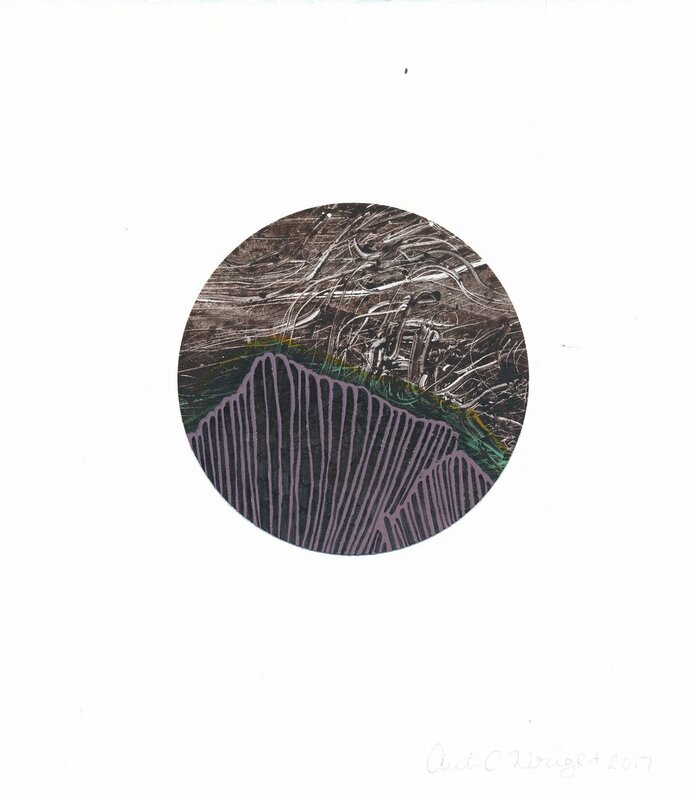 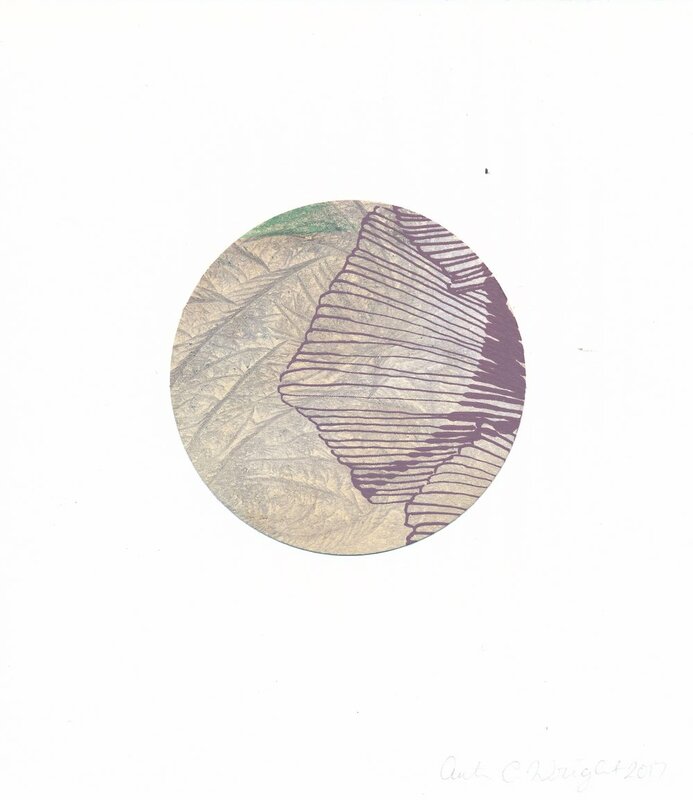 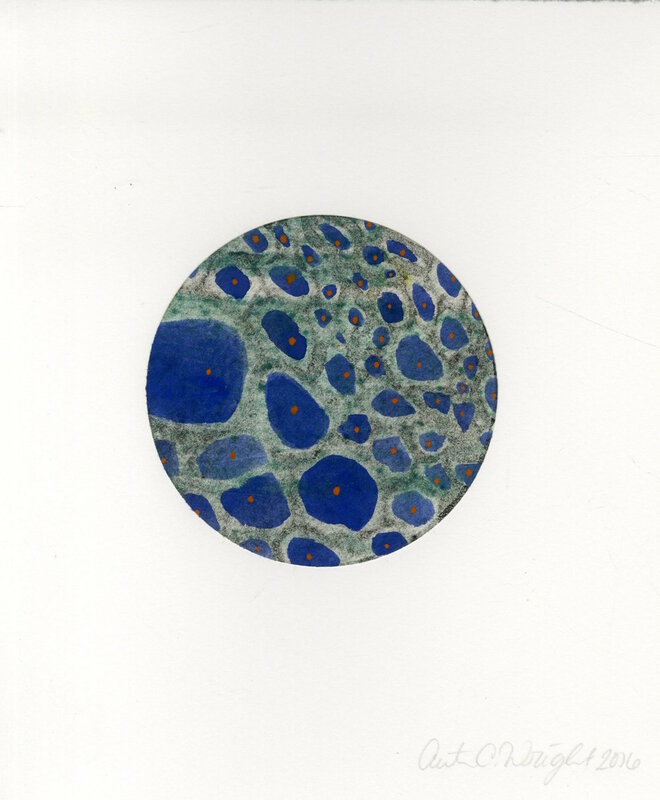 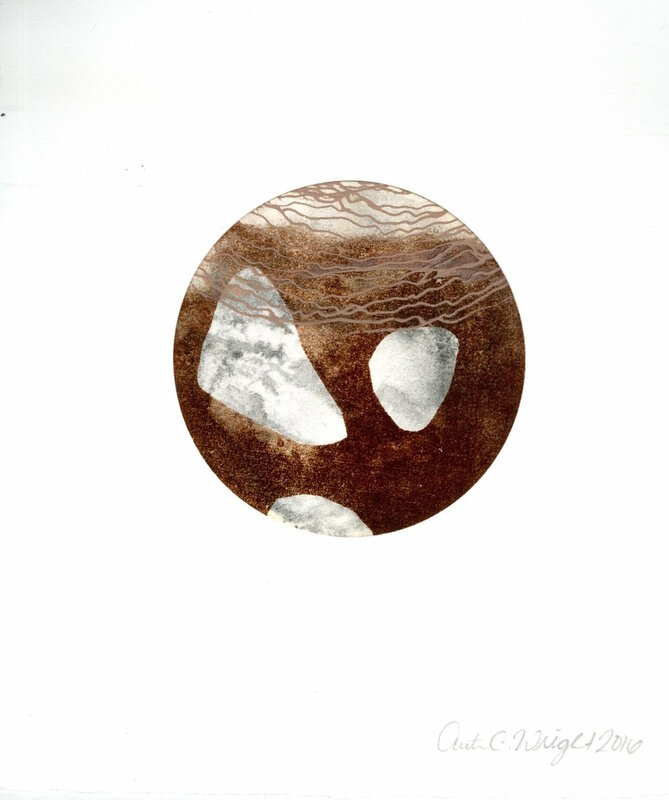 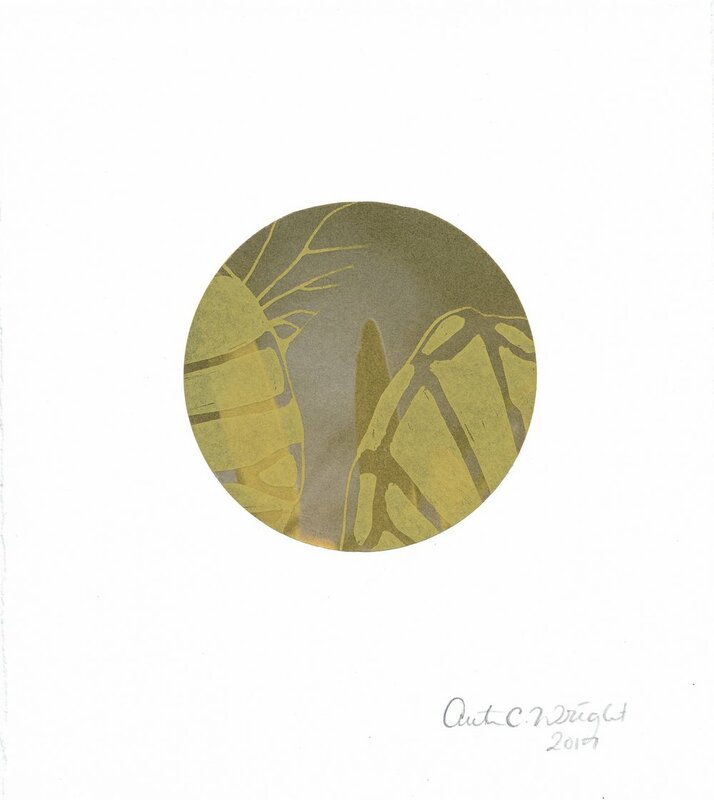 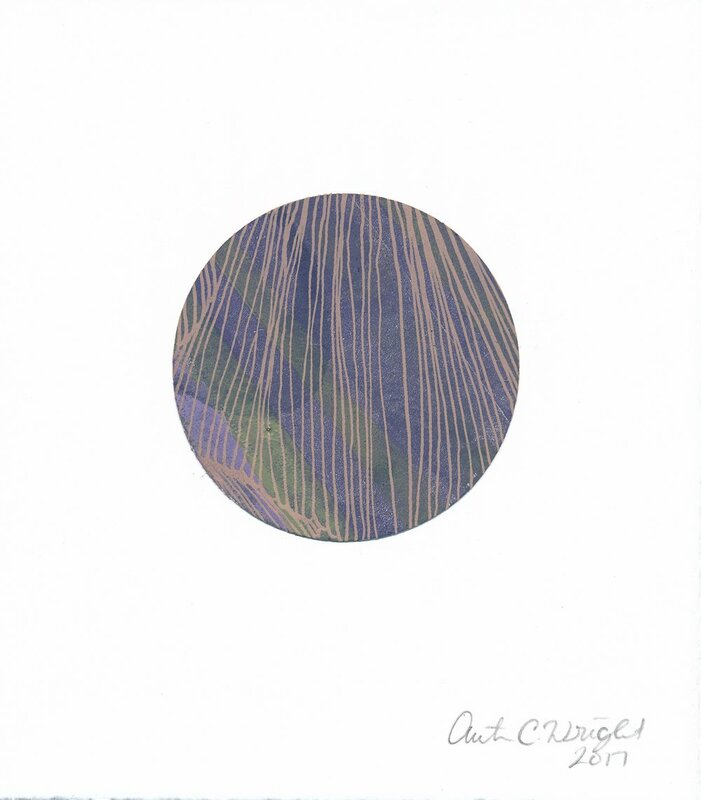 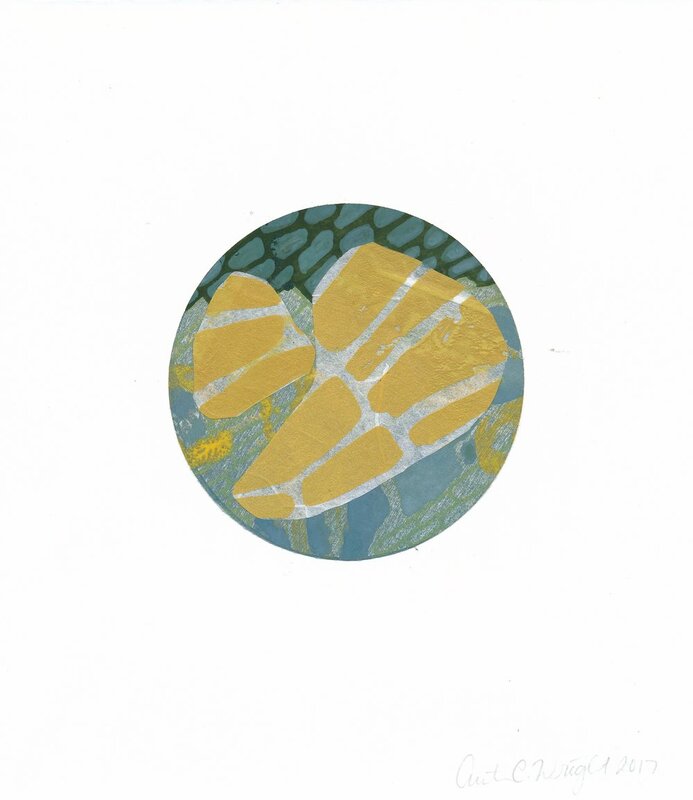 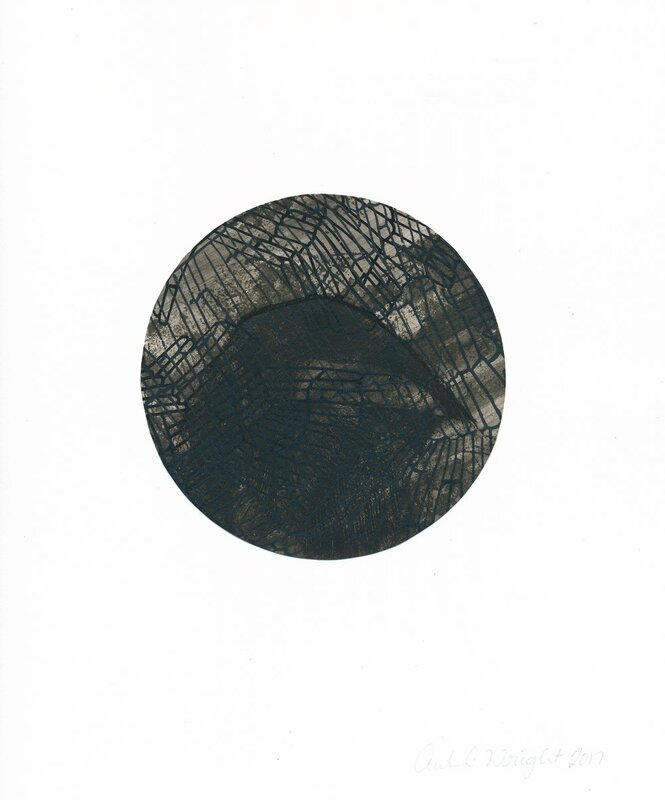 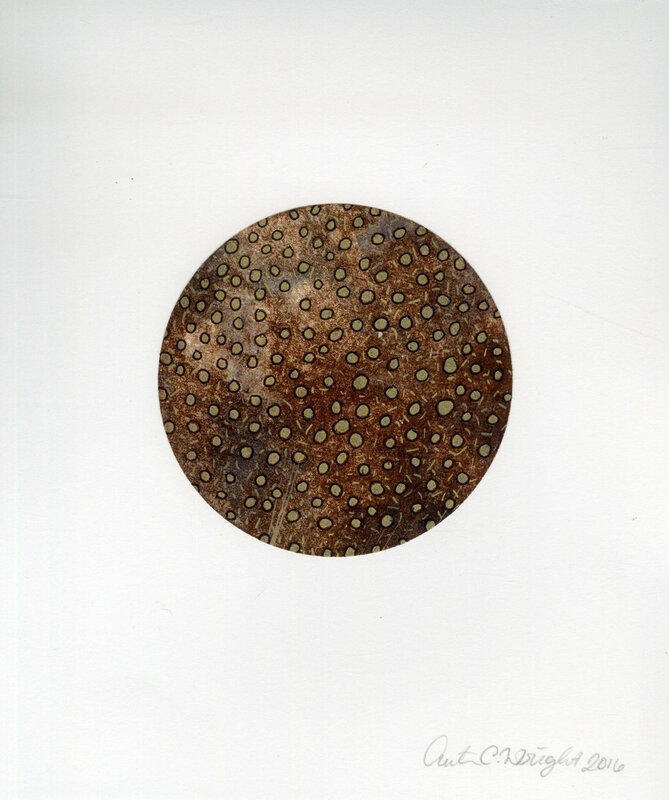 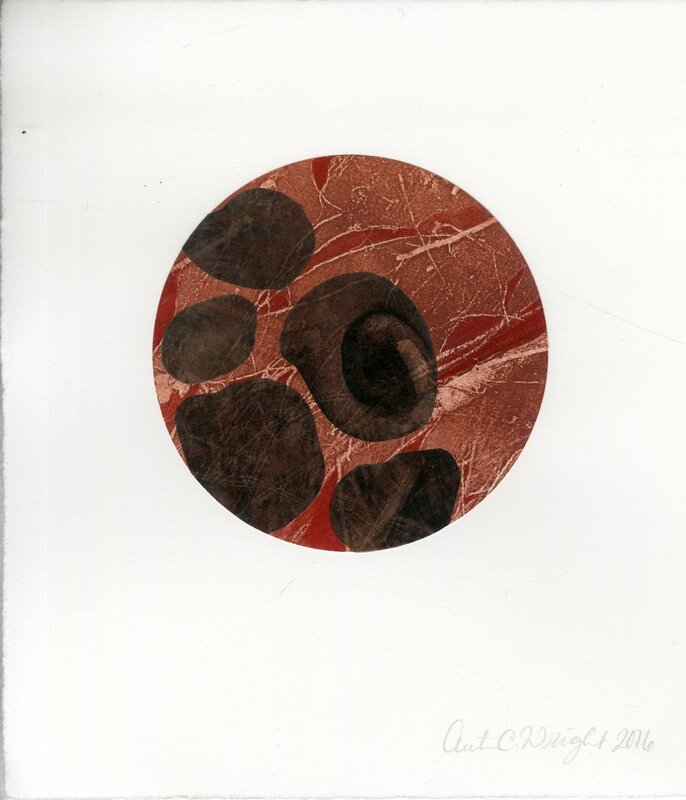 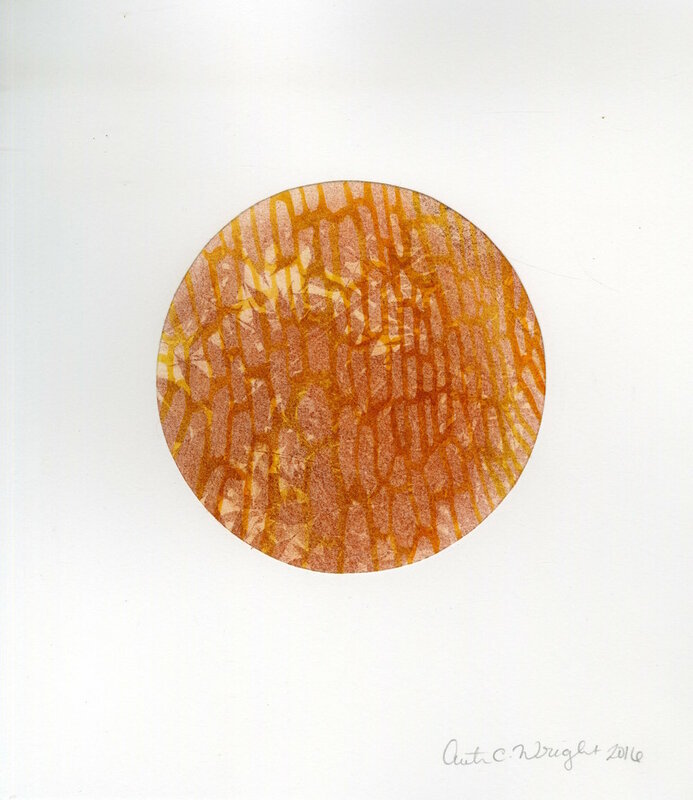 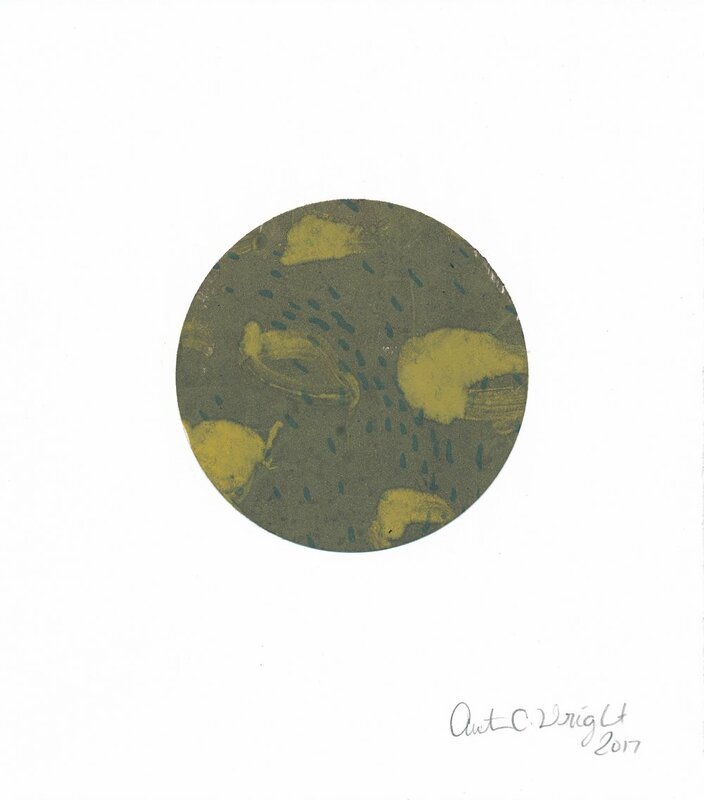 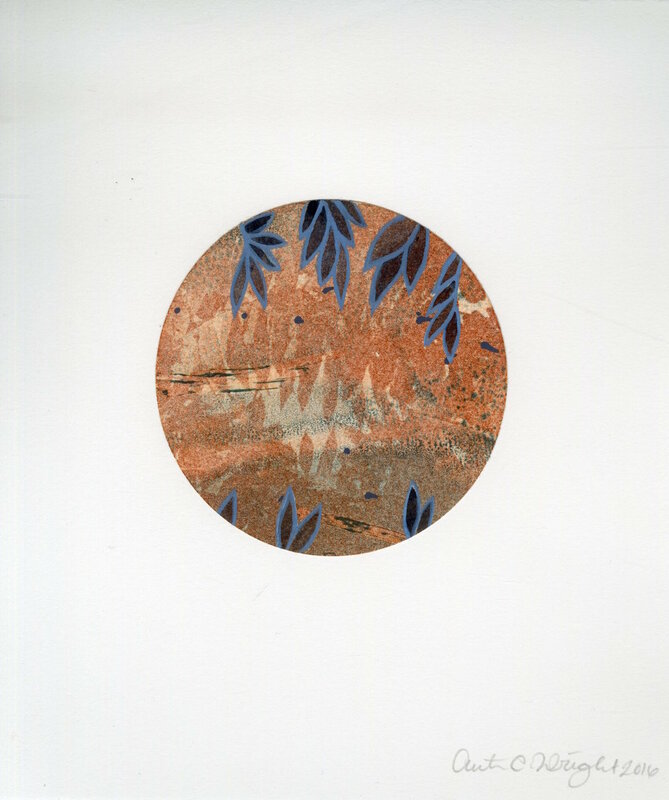 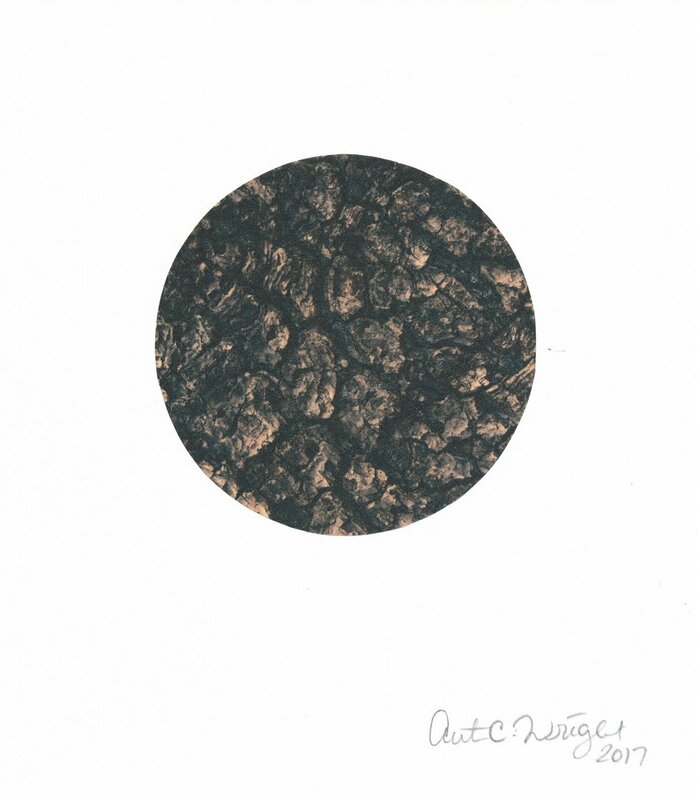 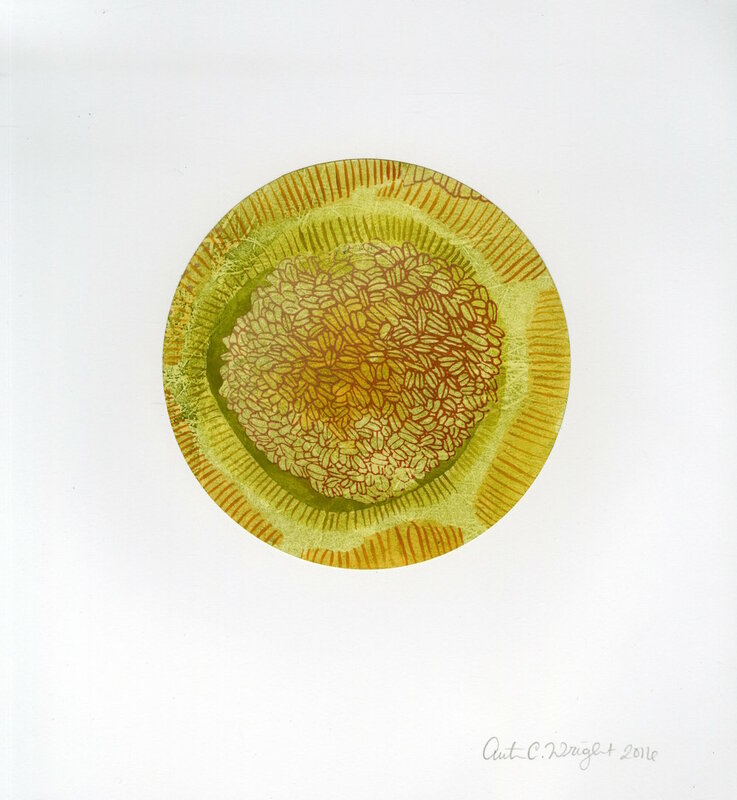 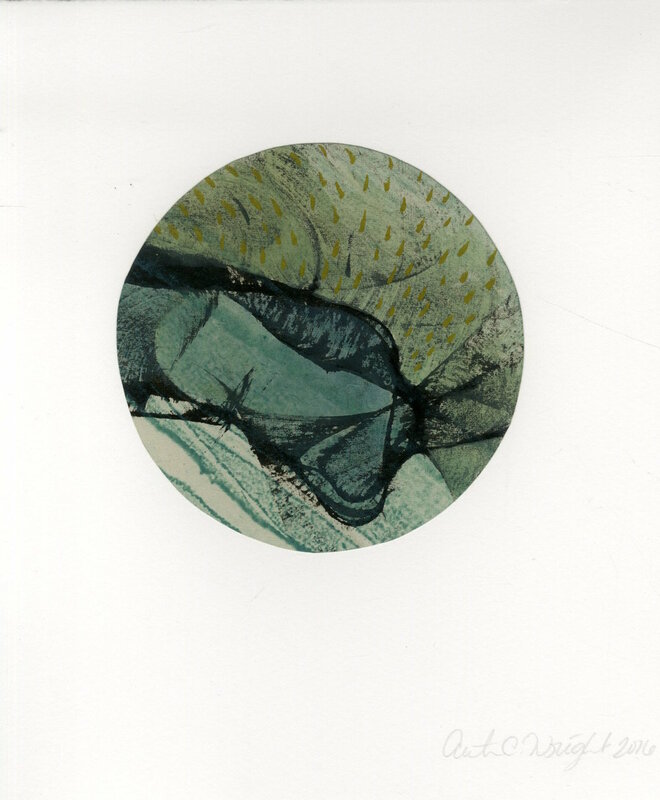 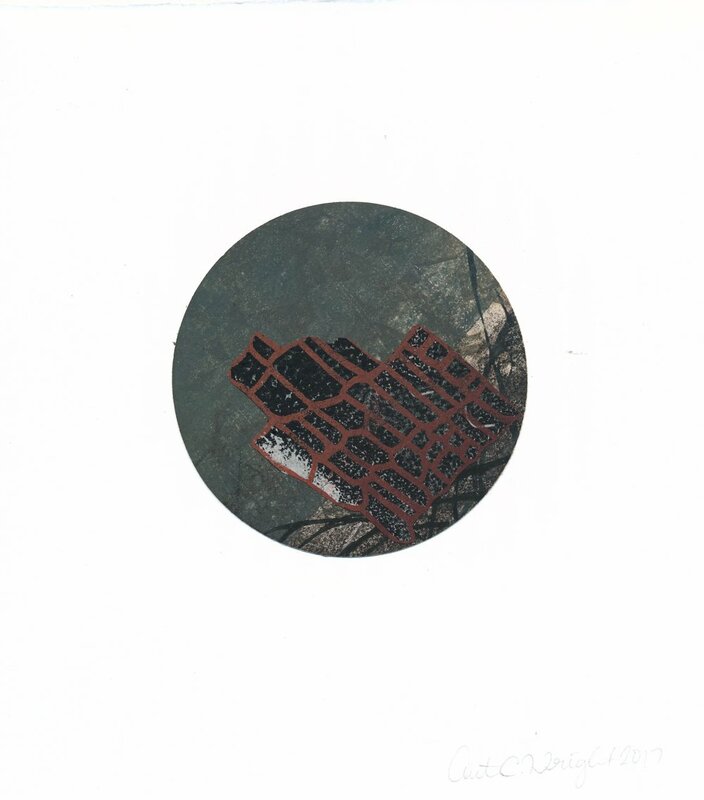 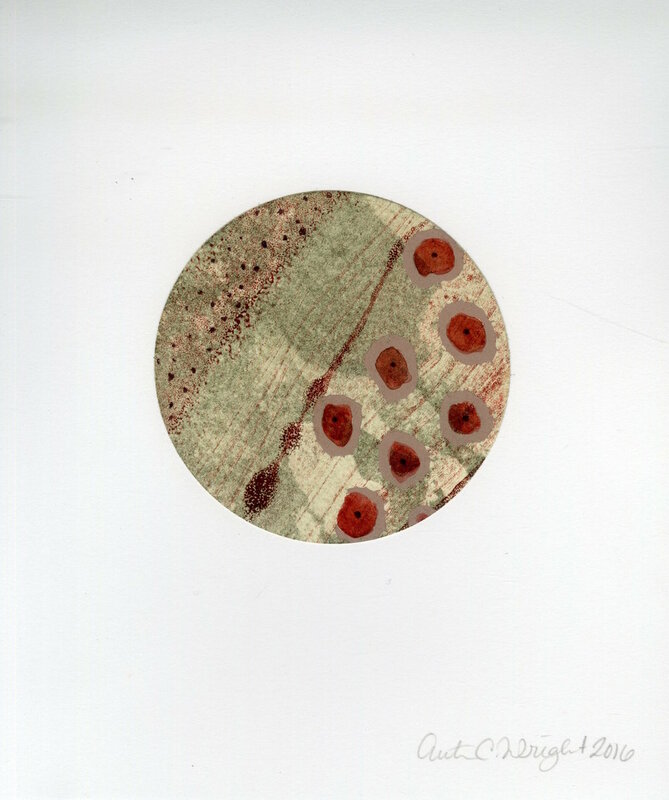 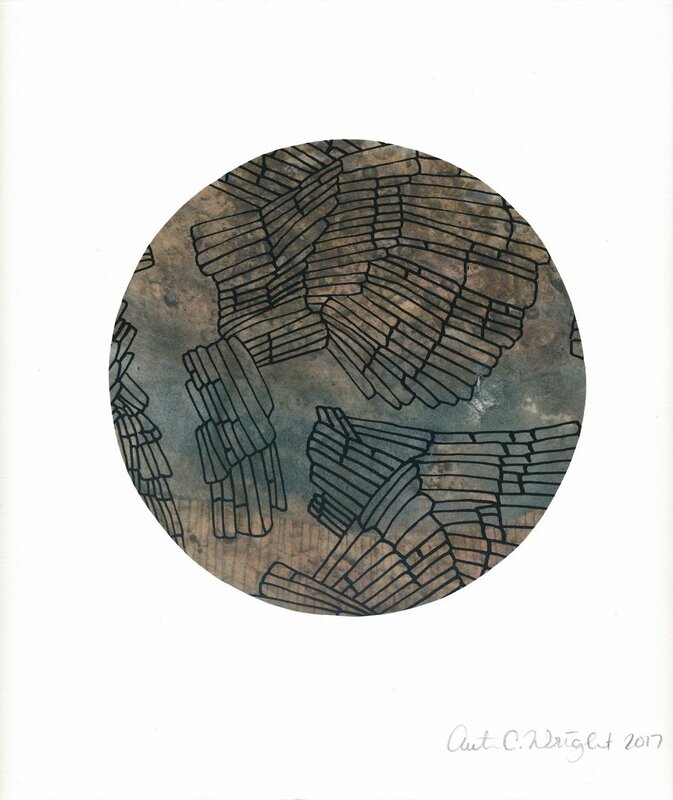 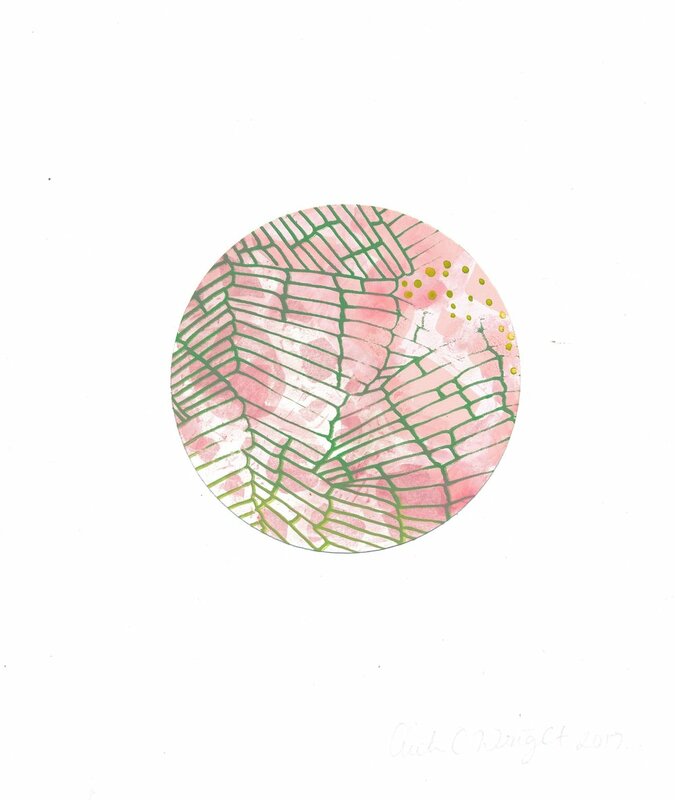 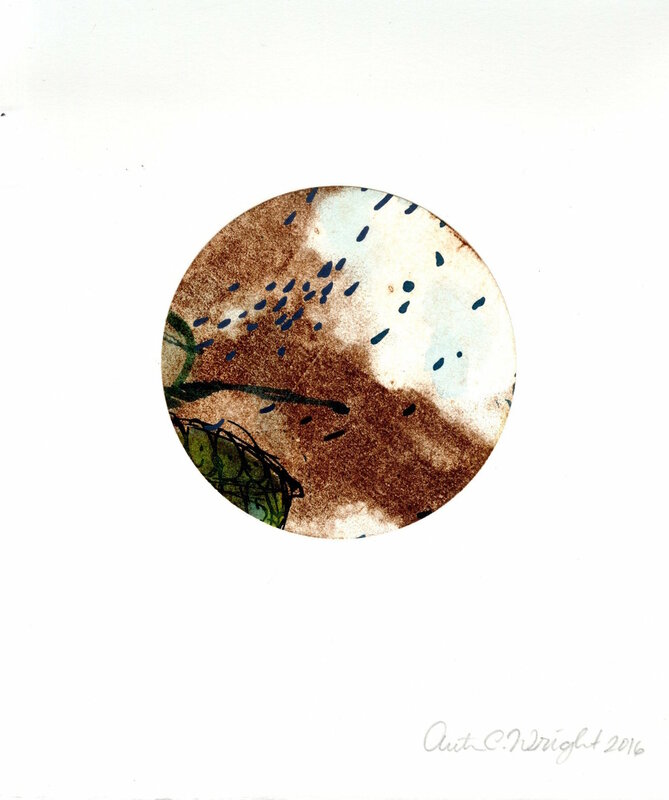 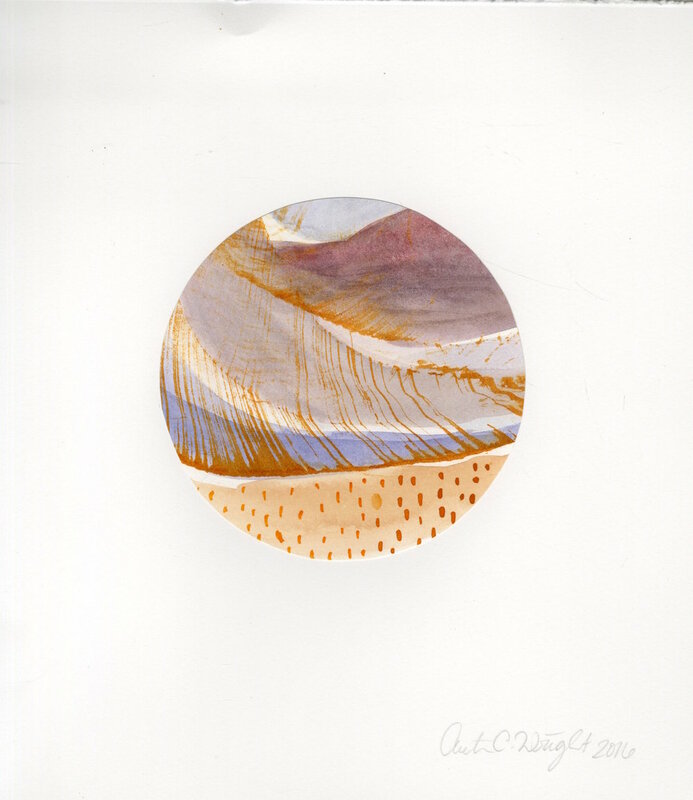 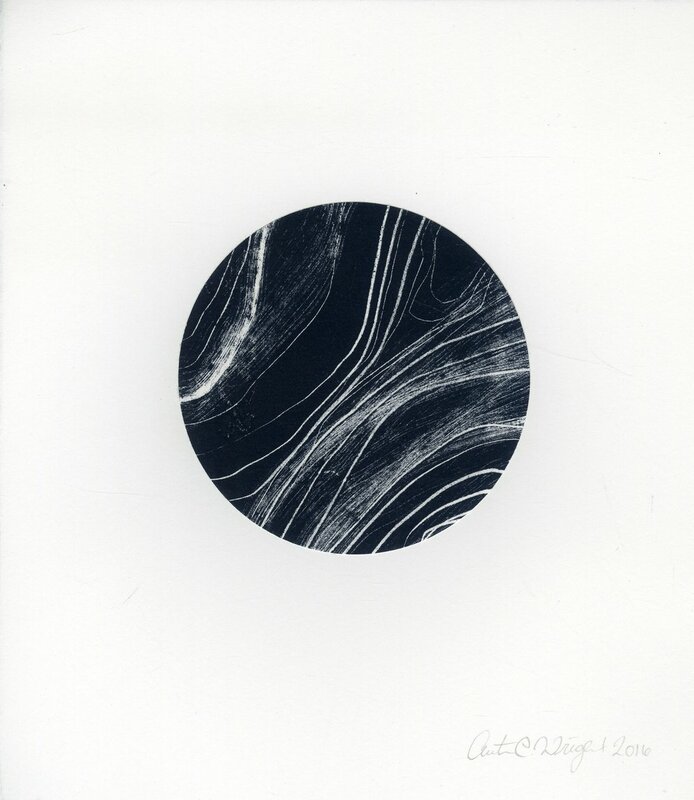 Series of mixed media circles that mimic looking into a petri dish or the lens of a microscope. 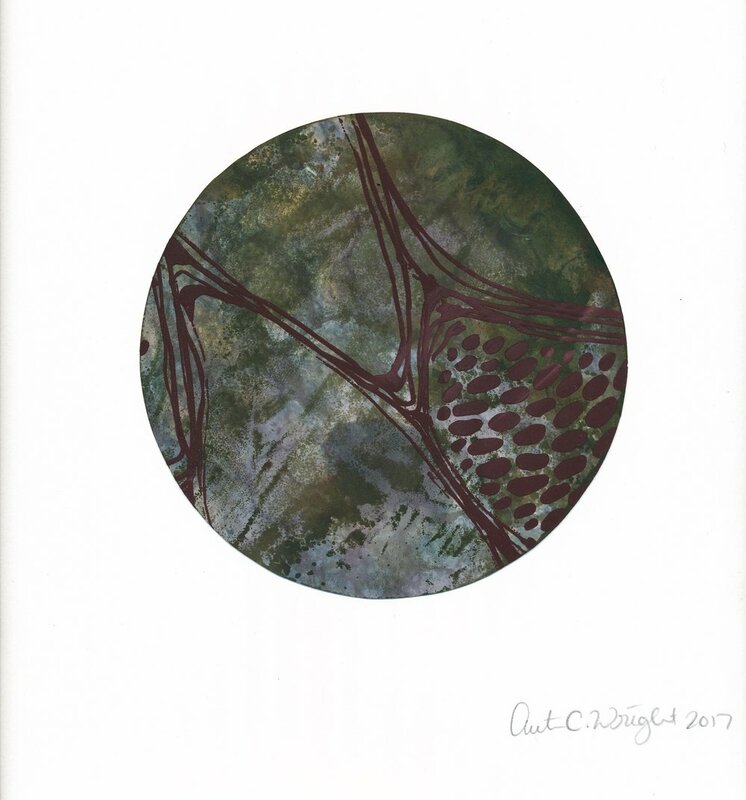 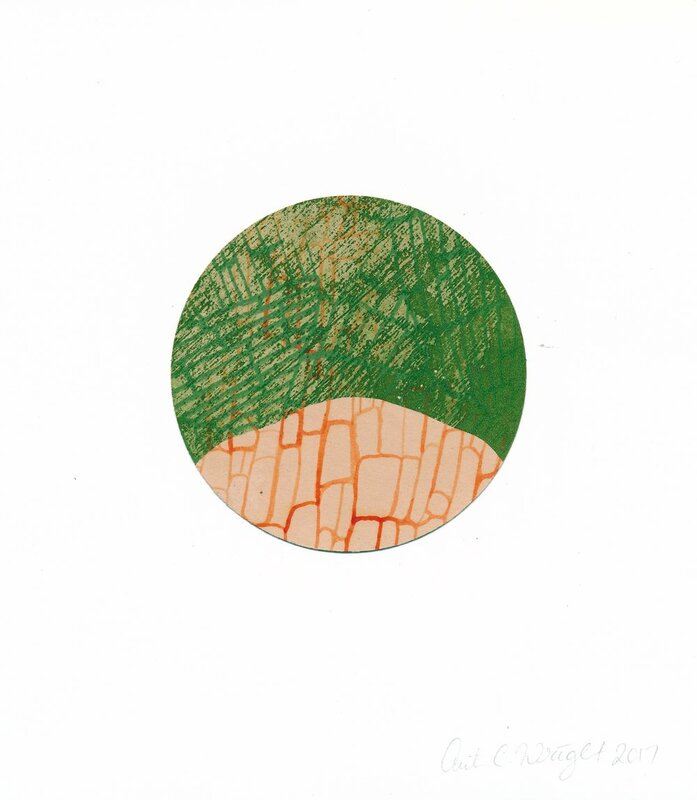 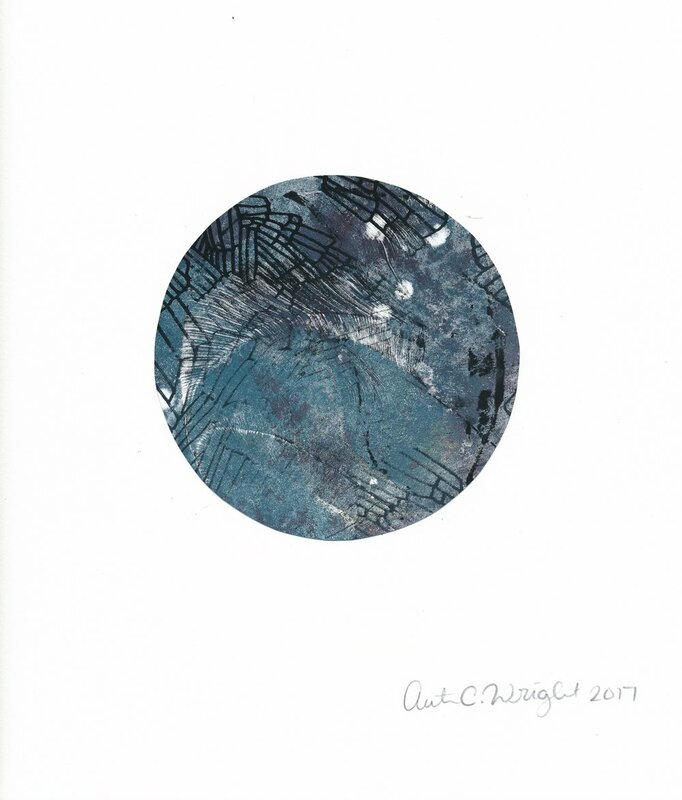 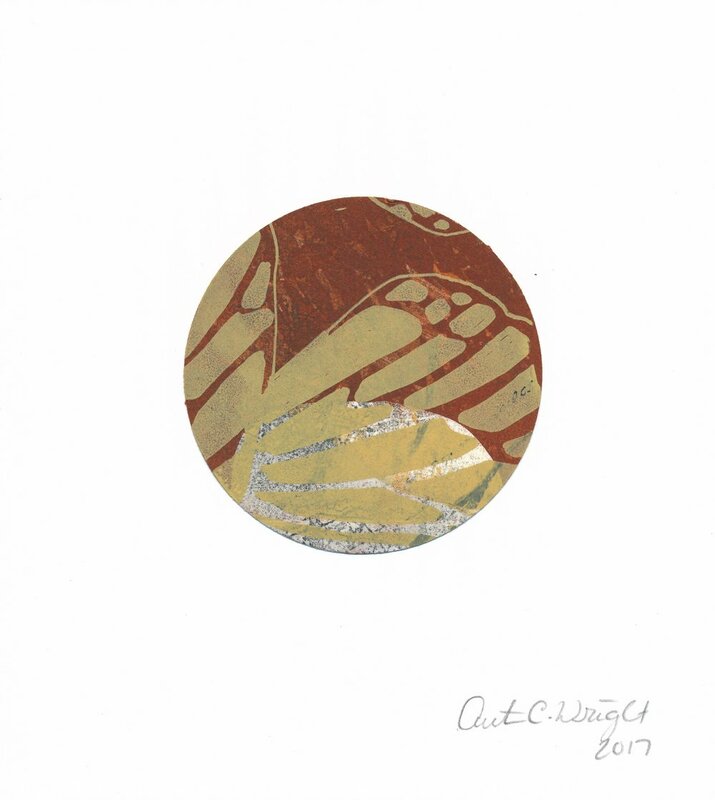 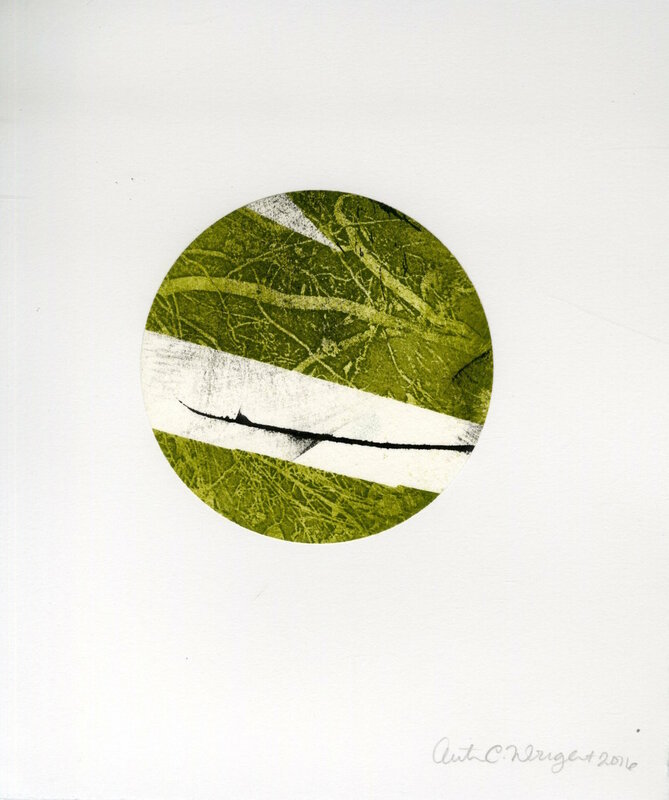 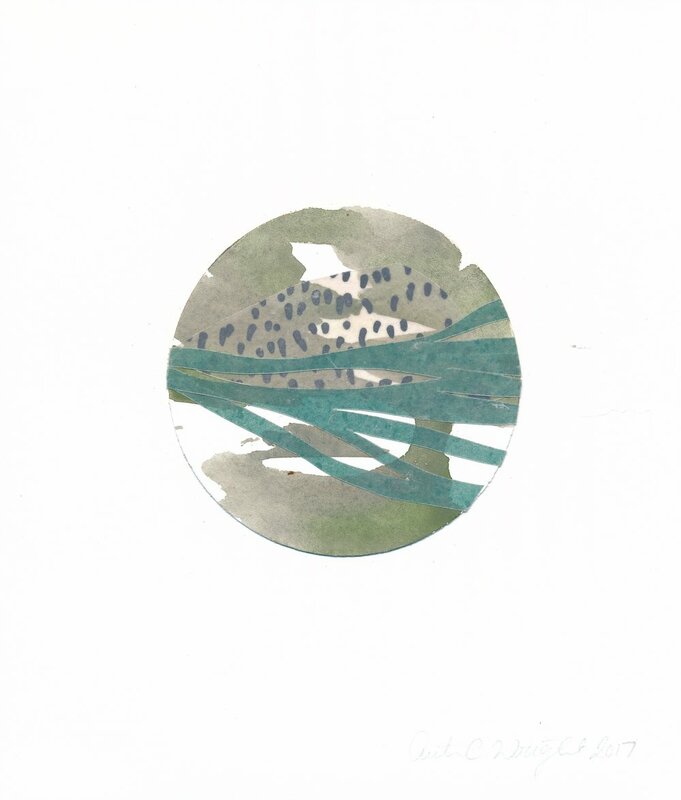 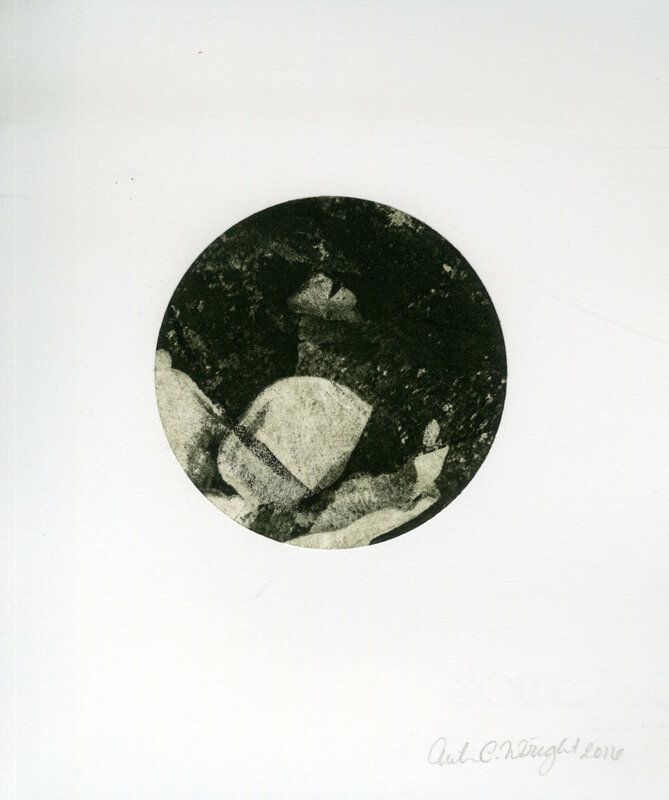 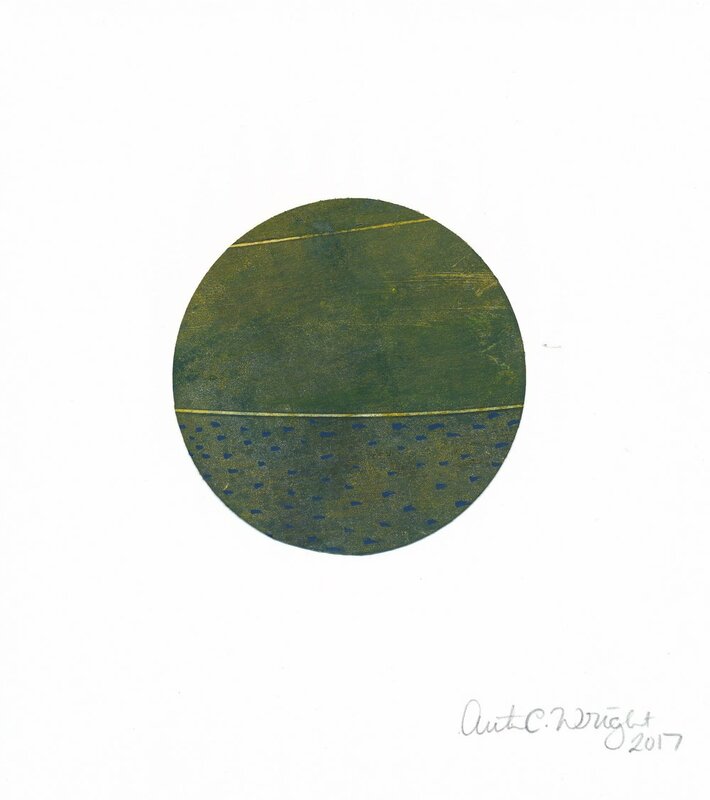 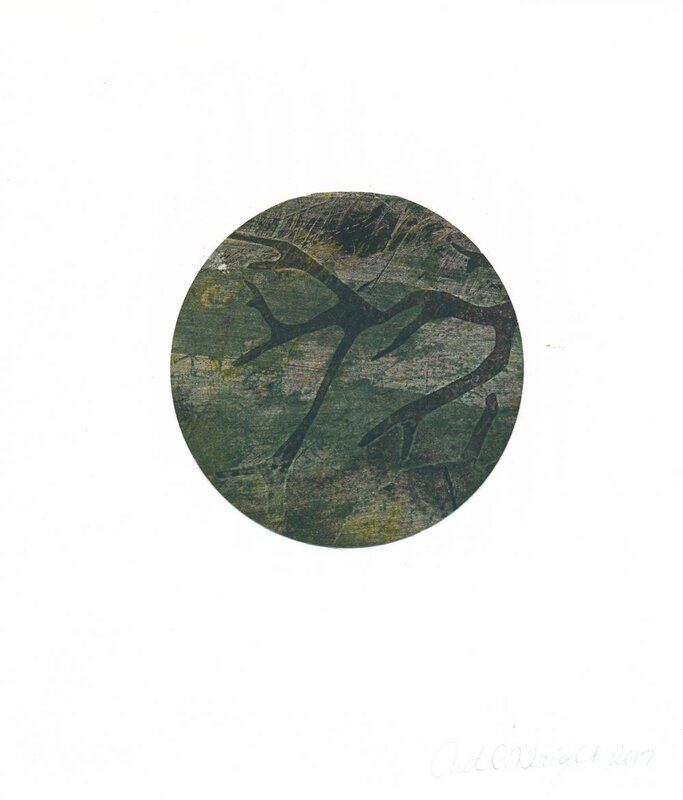 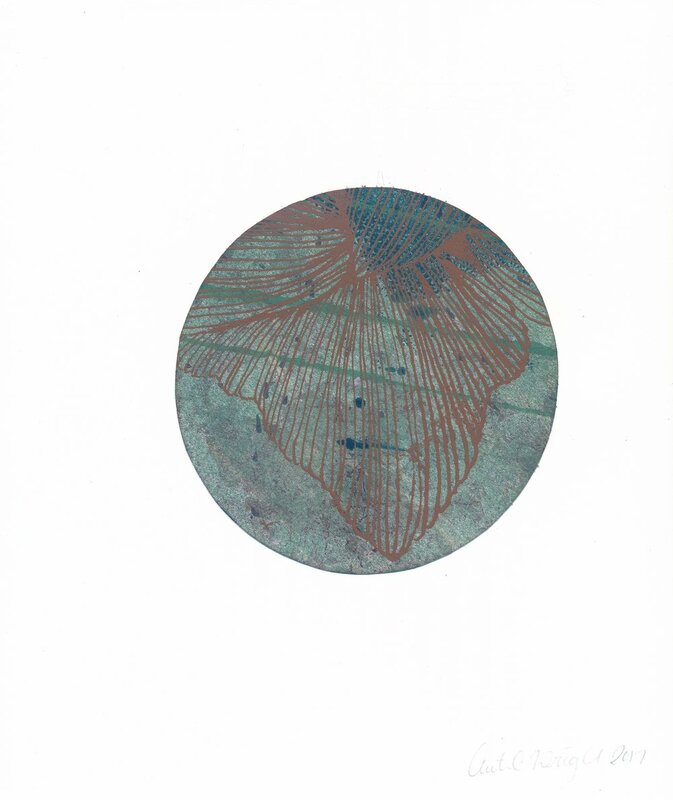 Mediums include monotype, watercolor, acrylic, intaglio, relief, collage, photography, silkscreen, and lithography. 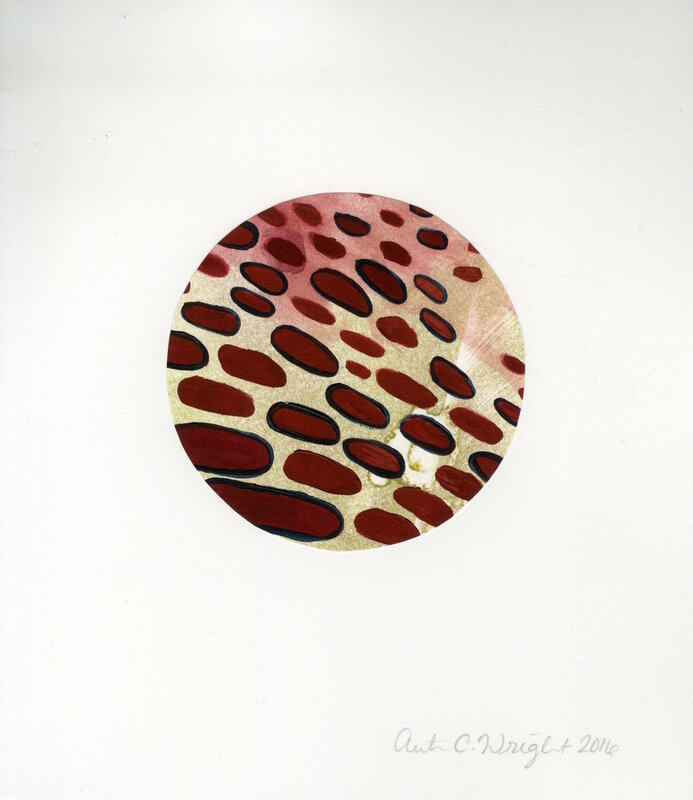 Size of circles varies from 3.5" diameter to 8" diameter.